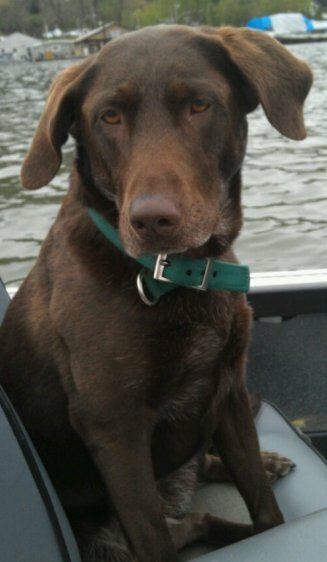 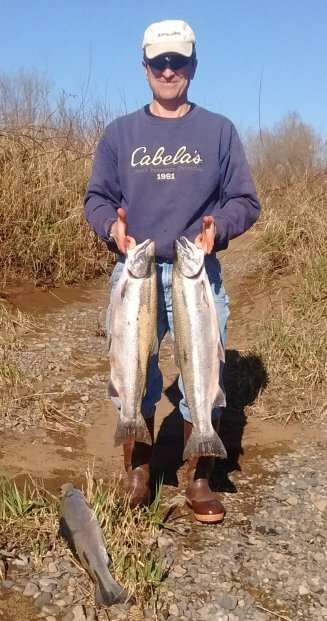 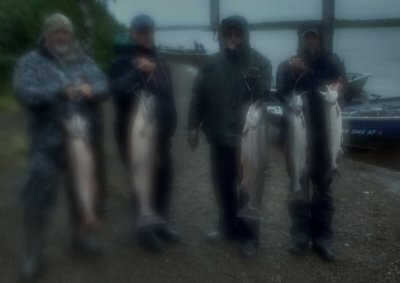 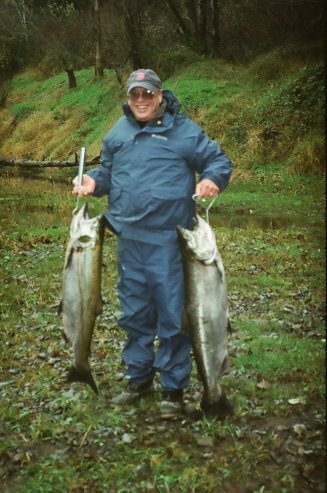 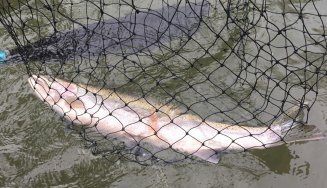 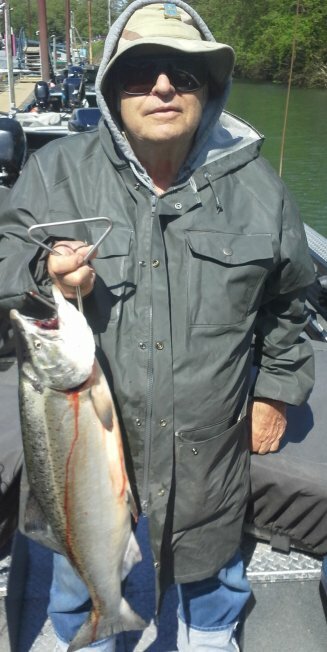 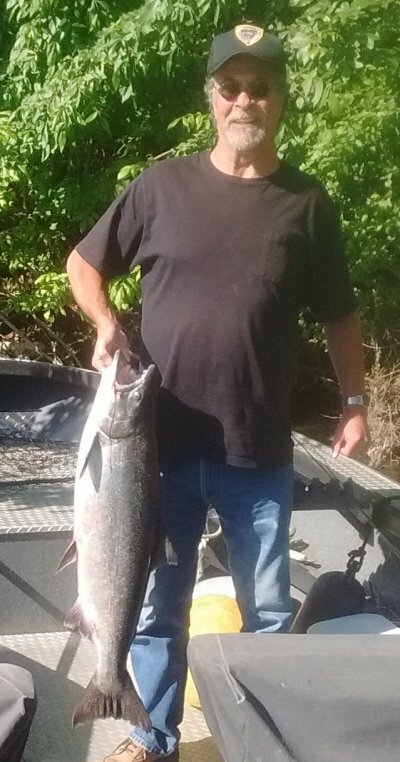 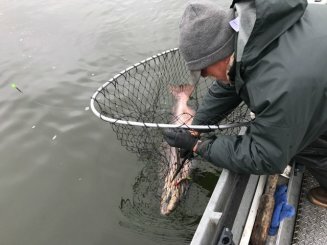 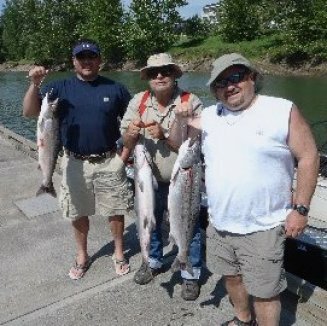 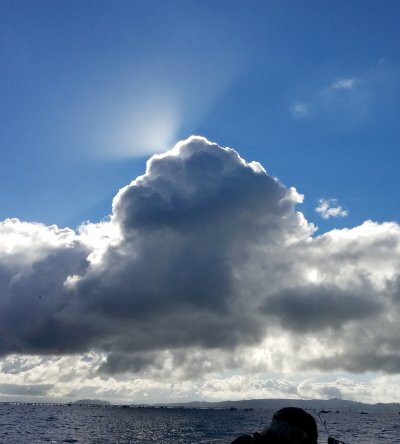 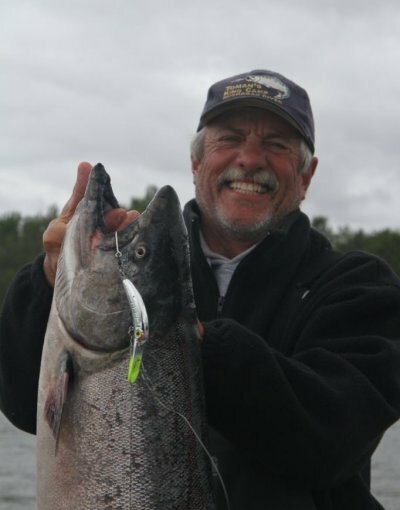 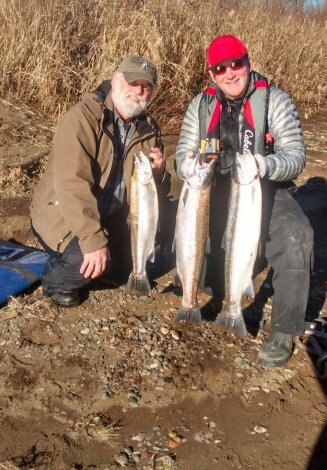 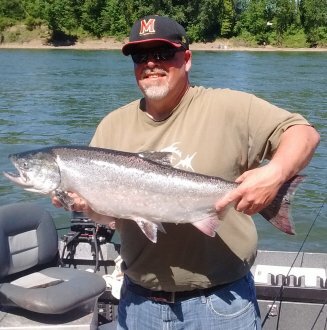 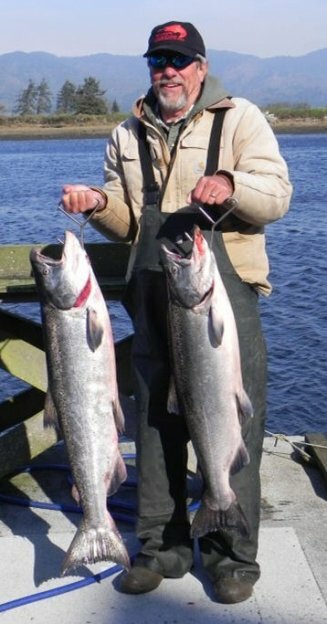 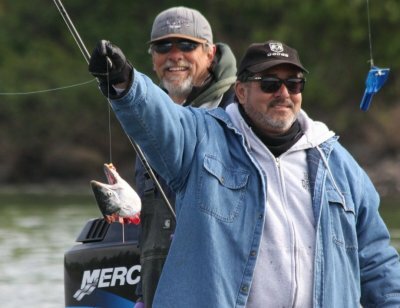 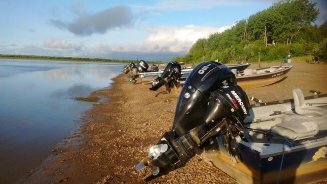 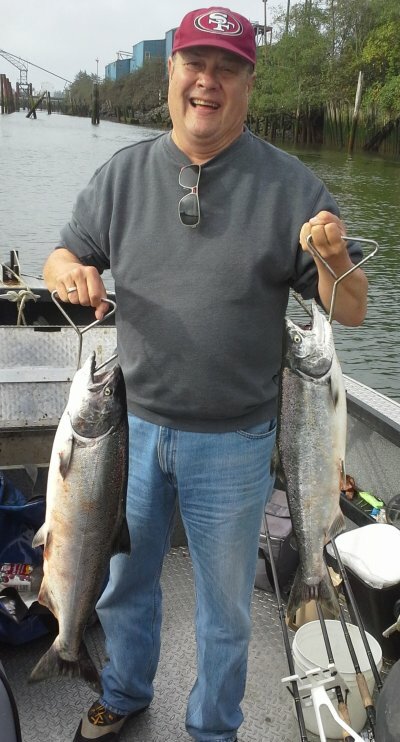 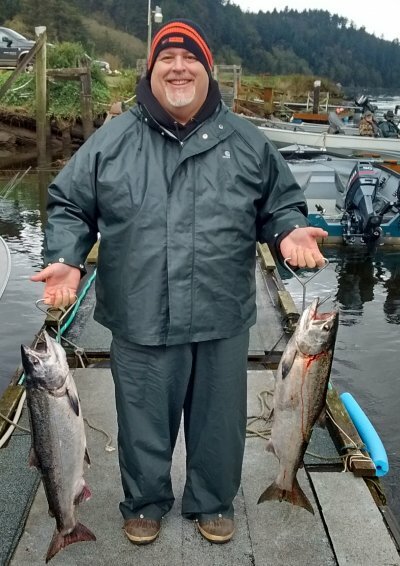 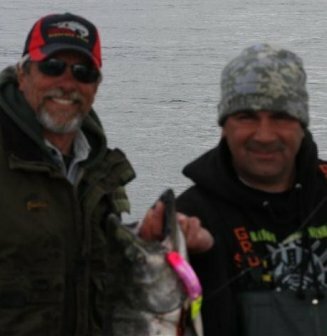 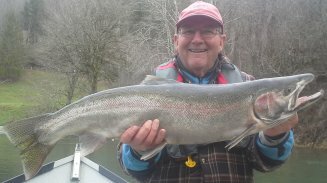 Welcome to the official website of Jim Stevenson's Fishing Guide Service! 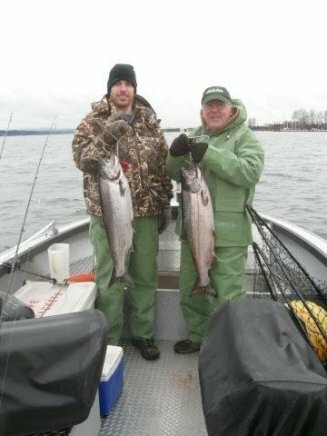 "Personable Quality Service" - Jim Stevenson. 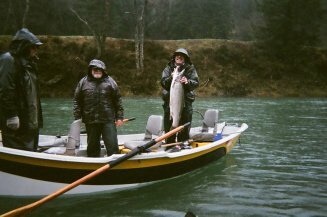 Trips with Jim are in a very roomy 25 foot Alumaweld sled. 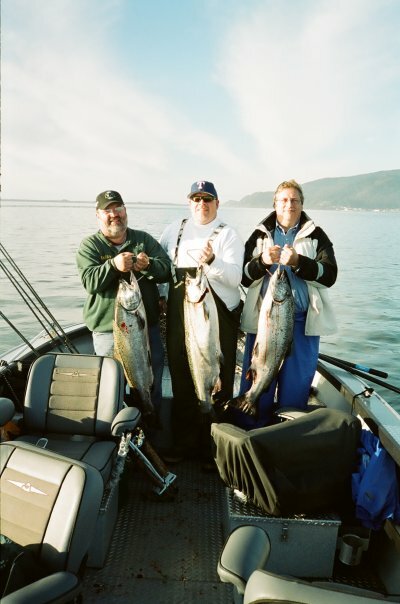 The sled accommodates four guests in comfortable armchair seats. 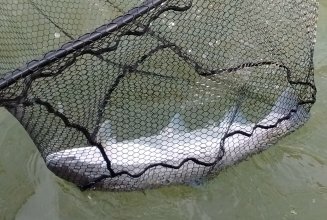 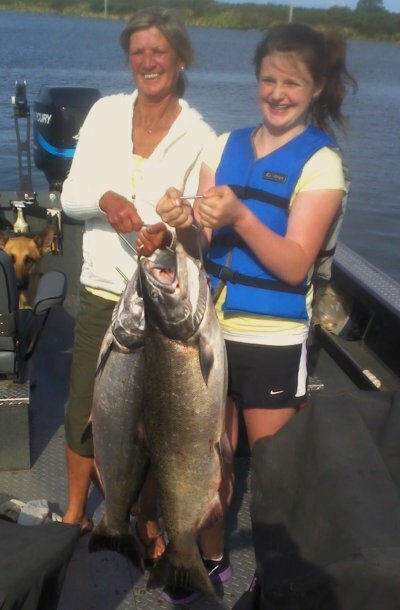 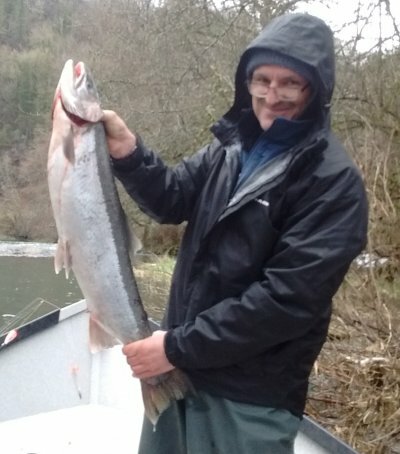 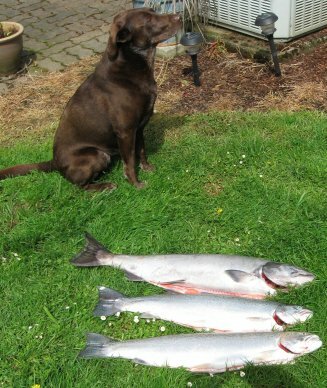 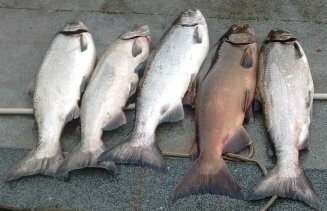 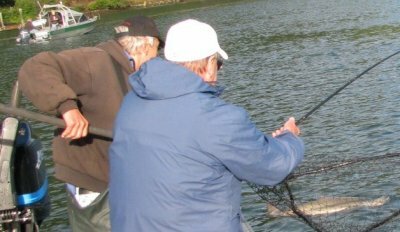 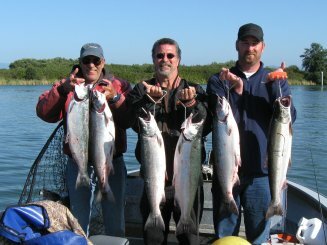 Top quality fishing tackle and bait is provided on all trips. 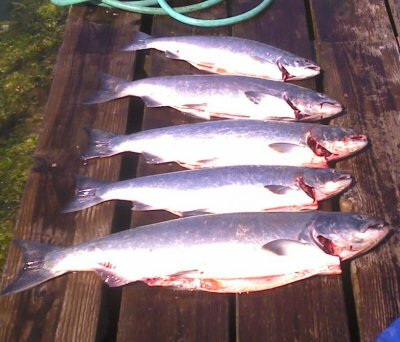 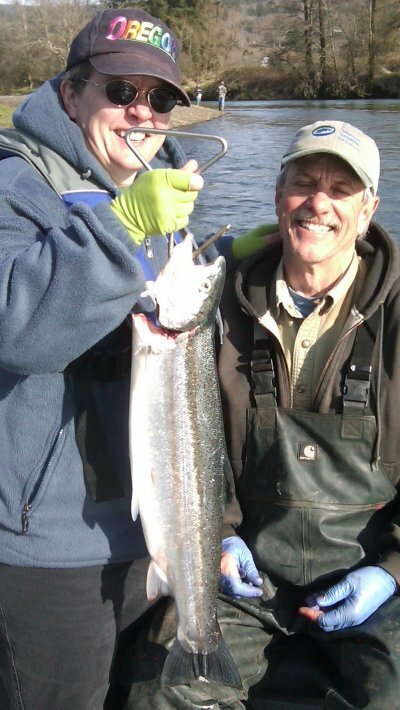 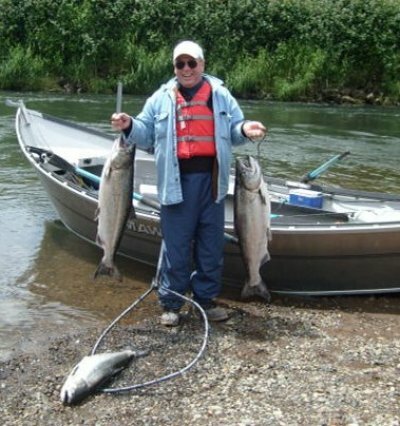 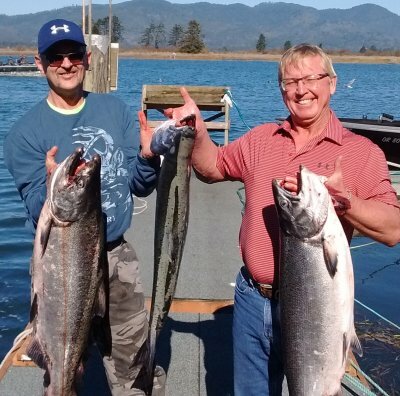 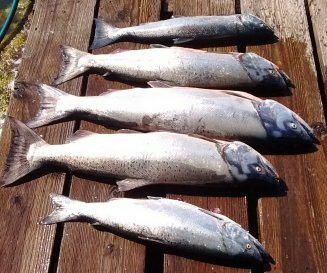 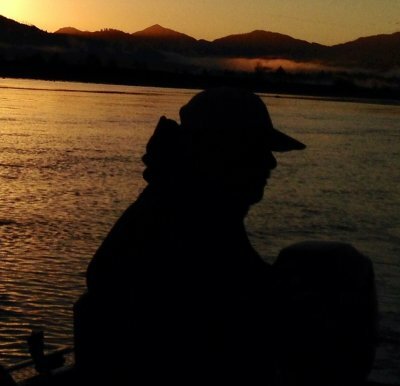 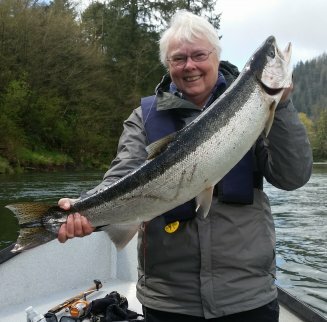 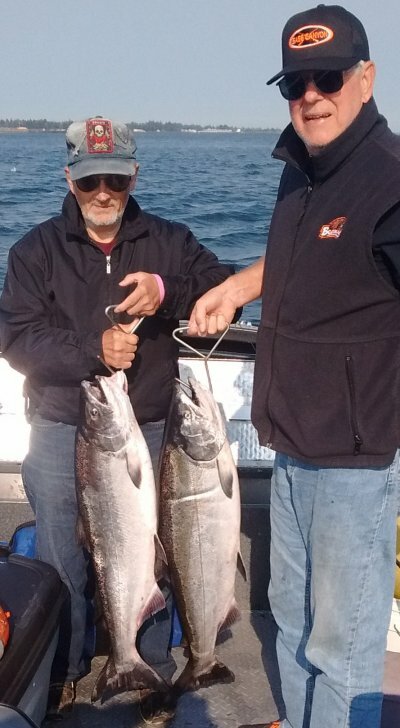 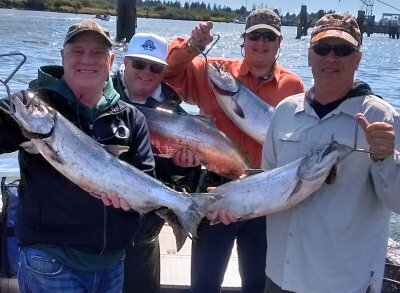 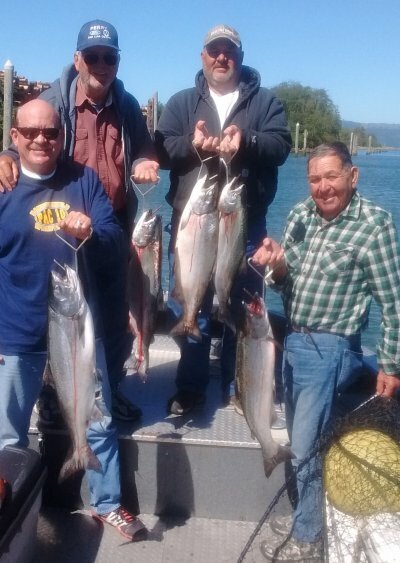 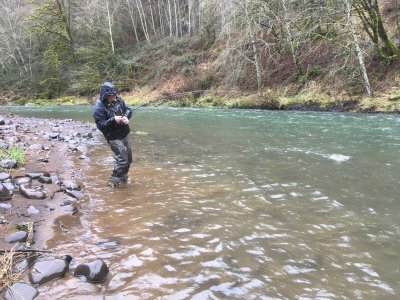 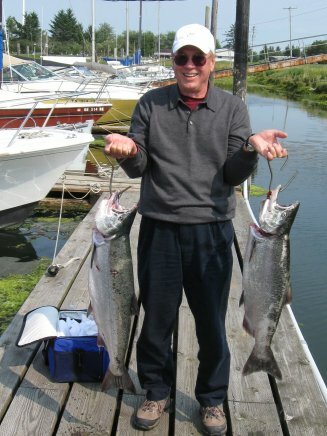 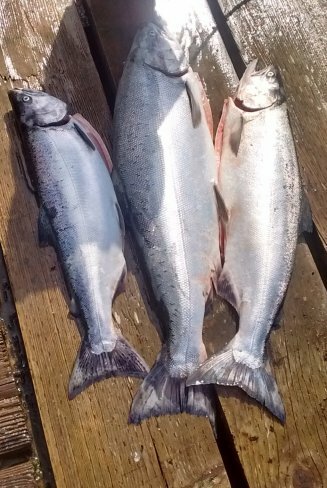 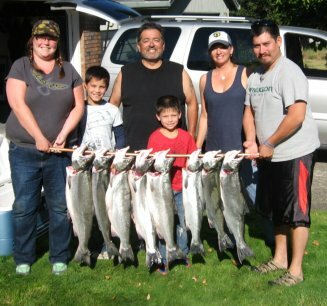 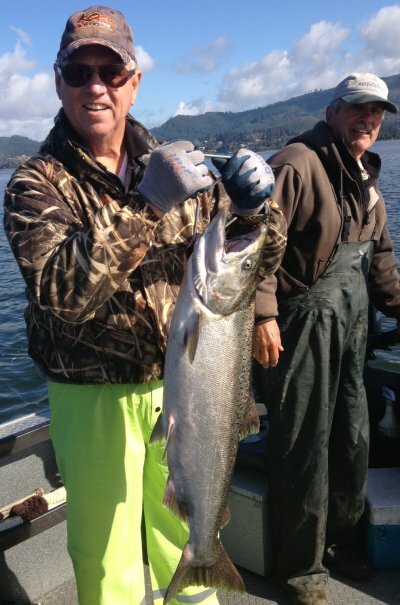 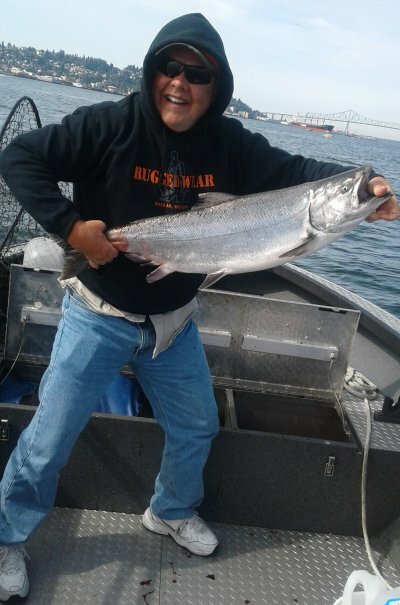 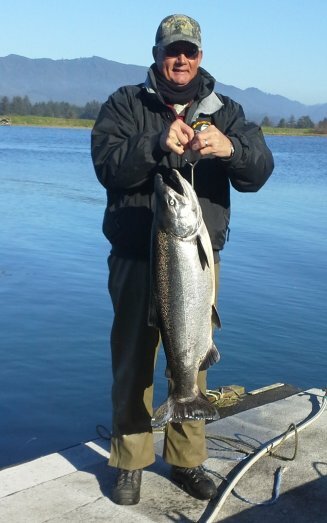 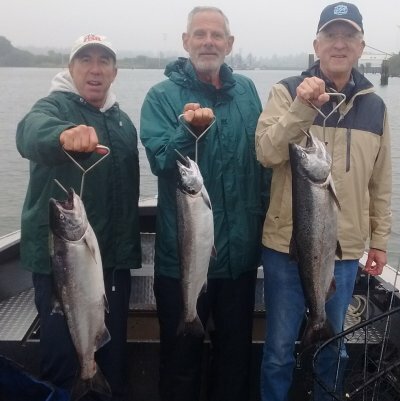 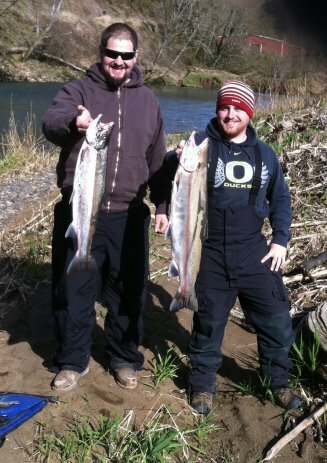 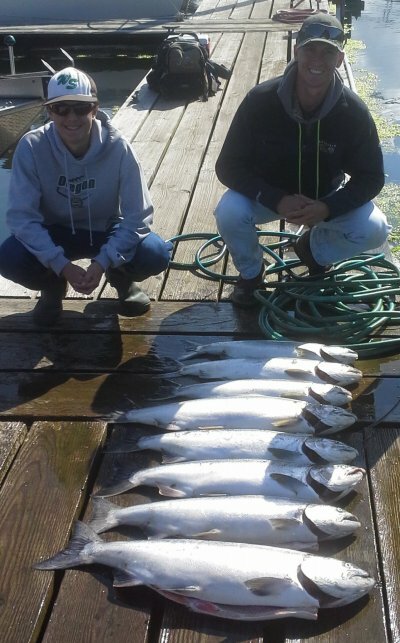 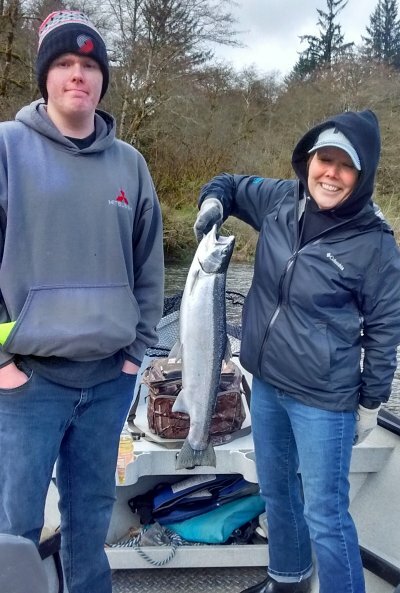 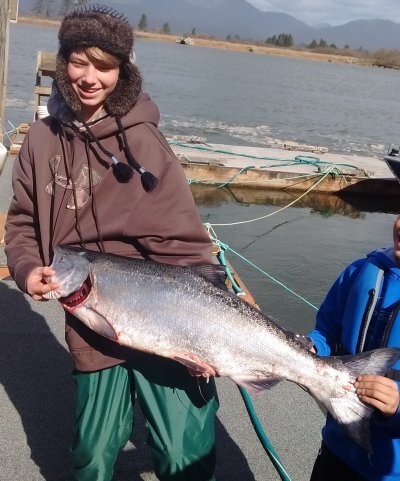 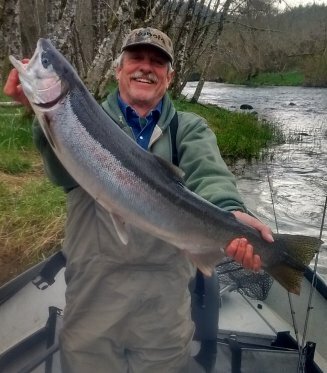 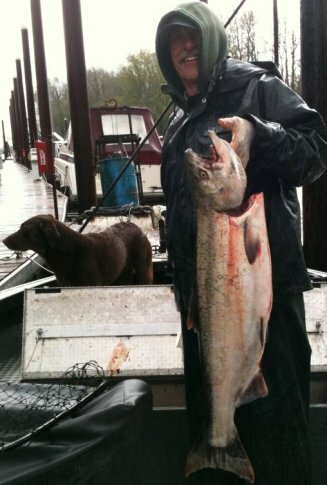 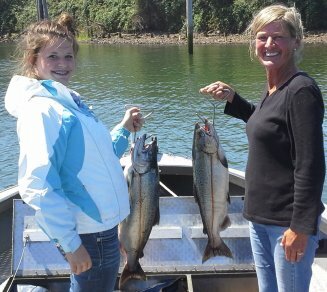 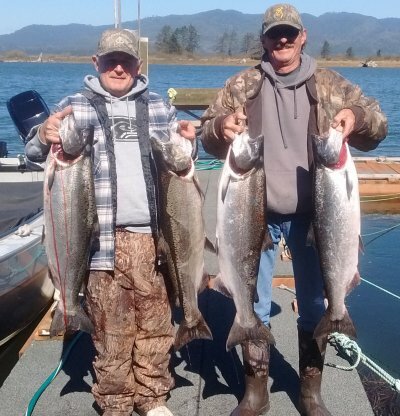 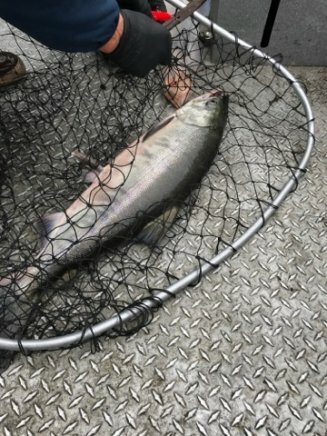 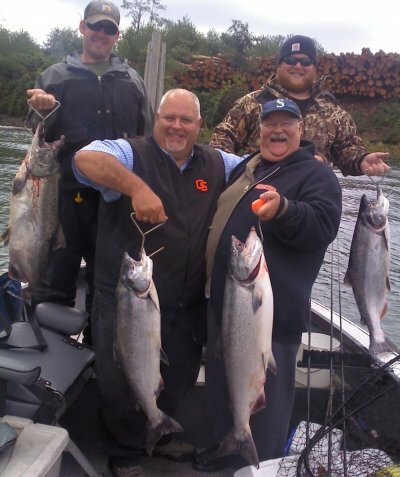 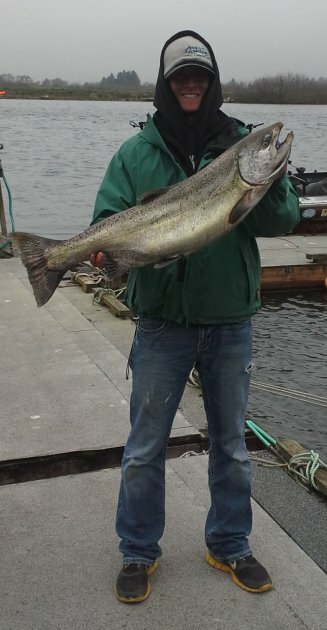 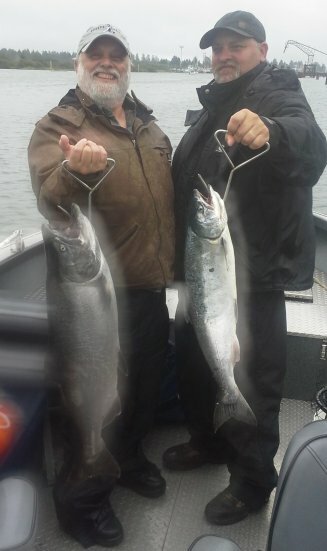 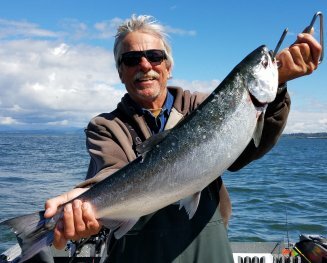 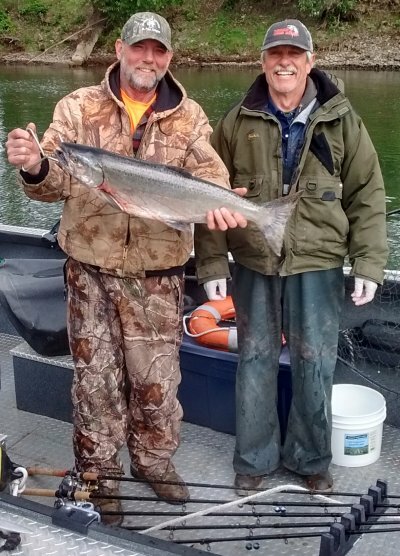 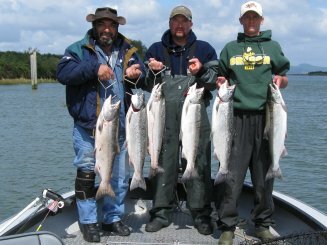 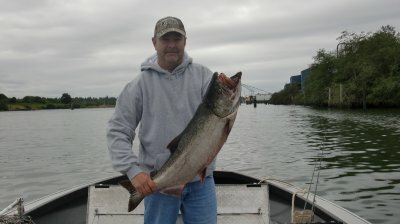 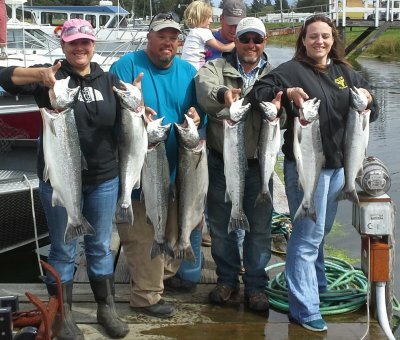 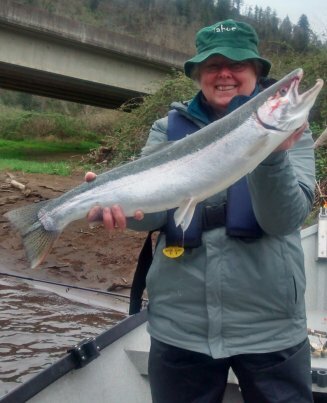 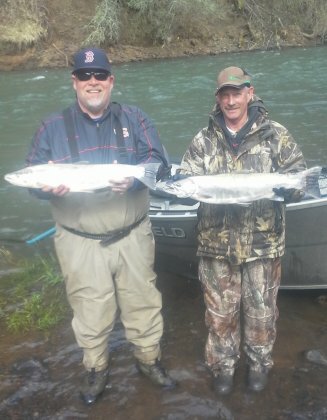 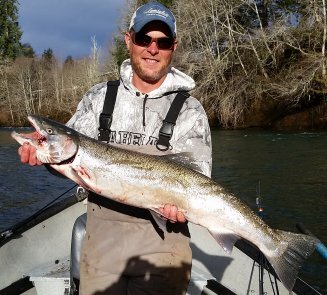 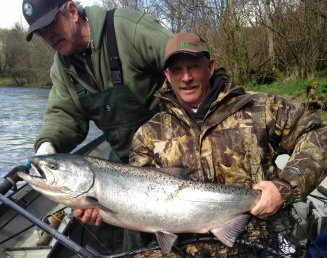 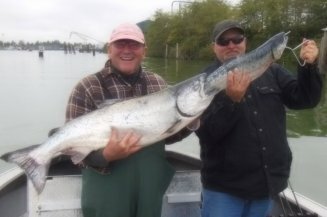 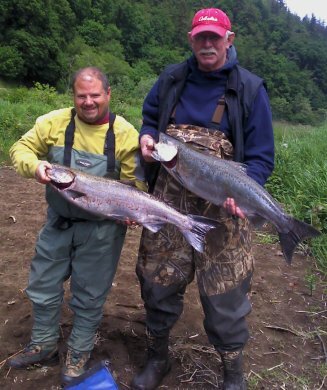 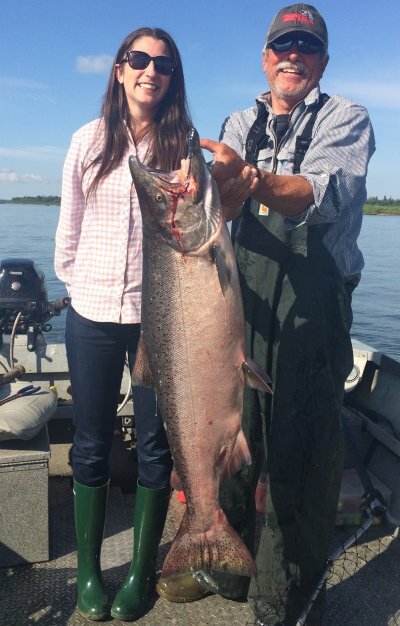 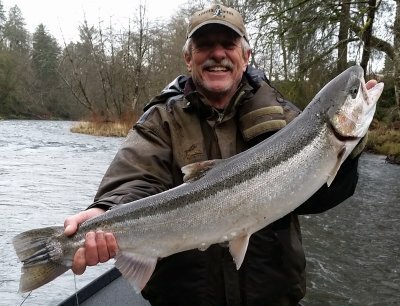 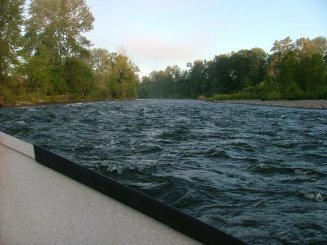 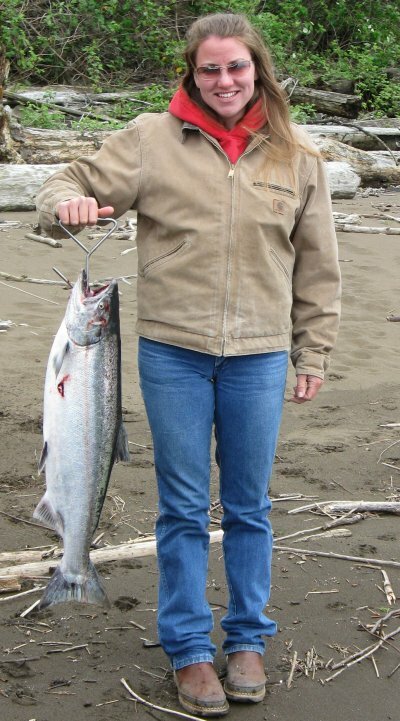 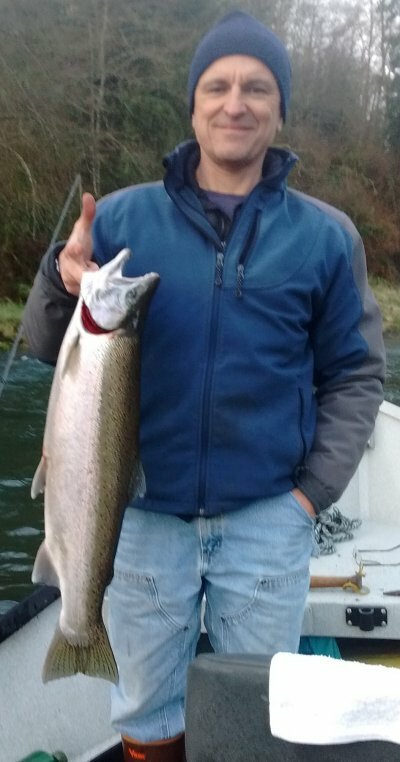 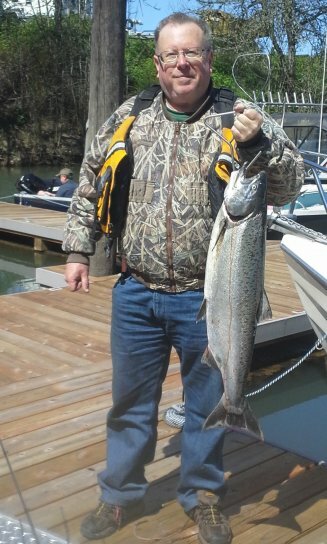 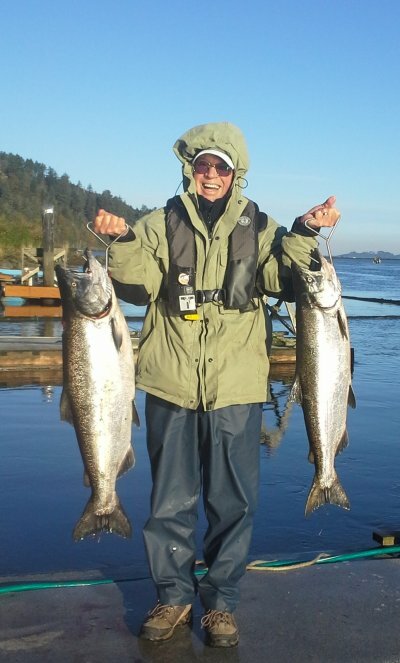 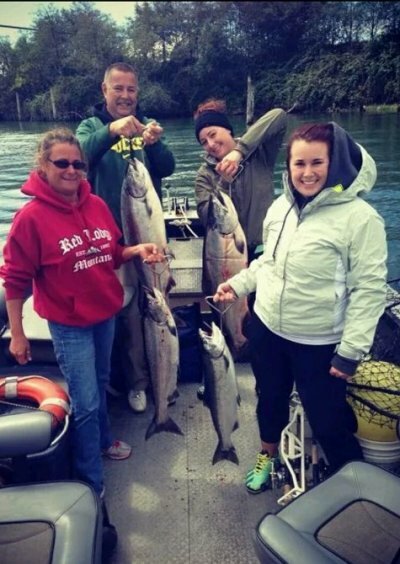 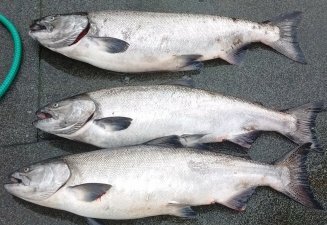 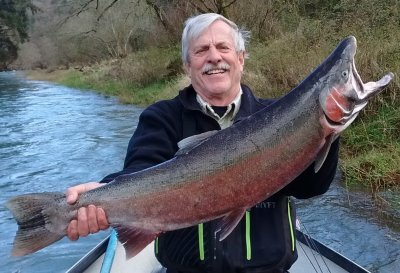 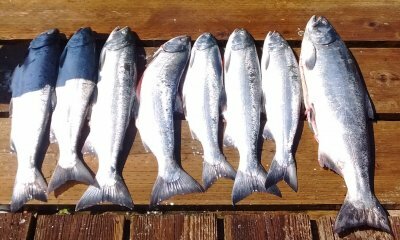 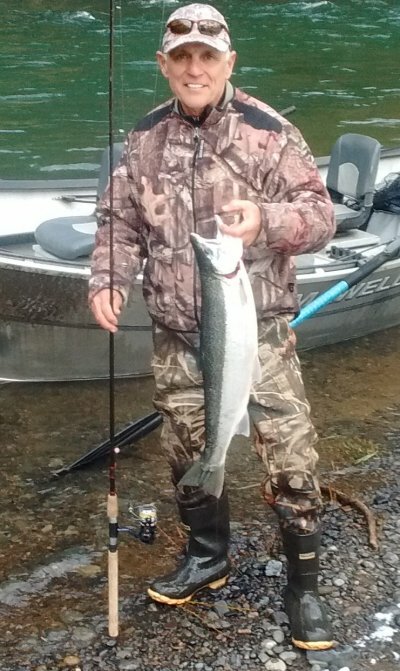 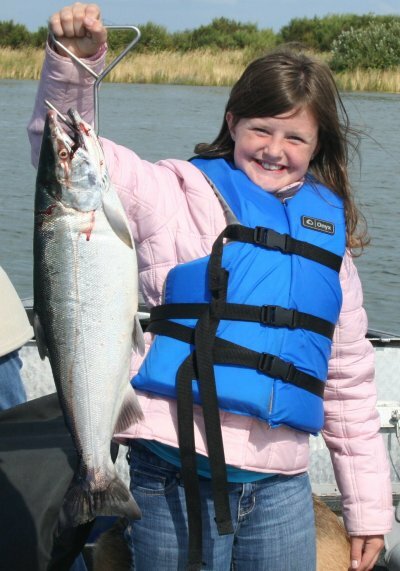 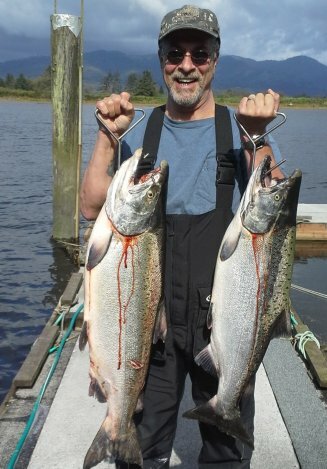 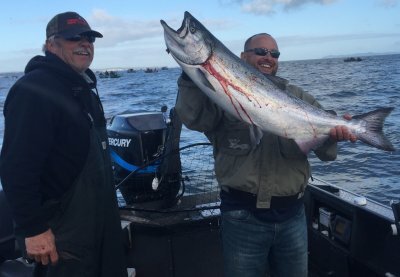 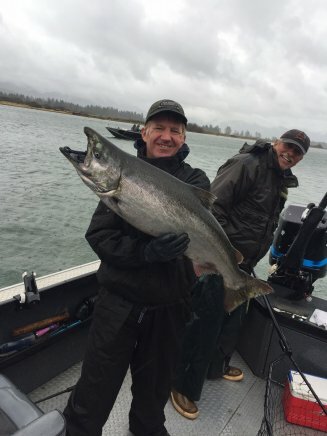 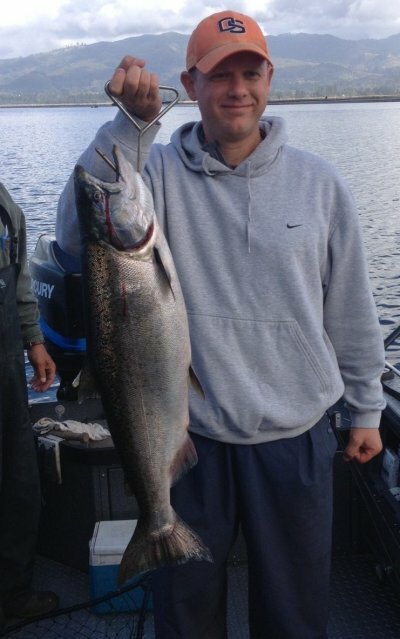 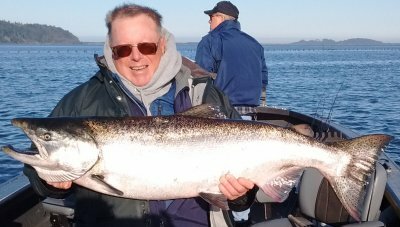 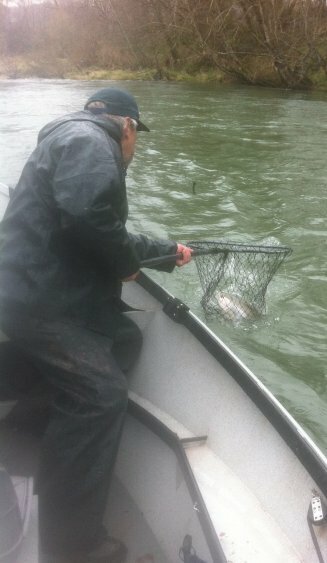 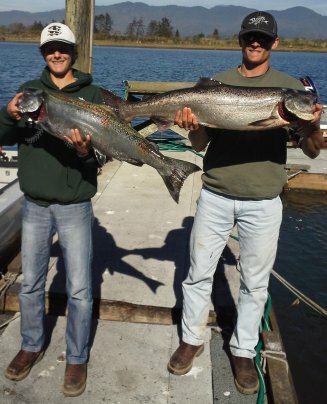 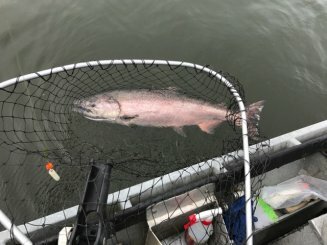 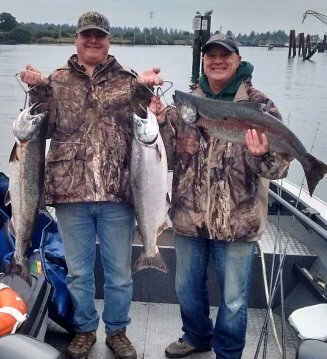 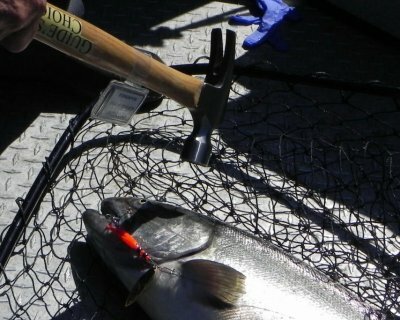 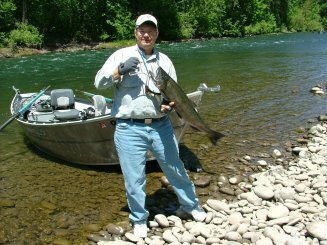 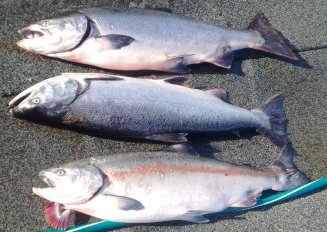 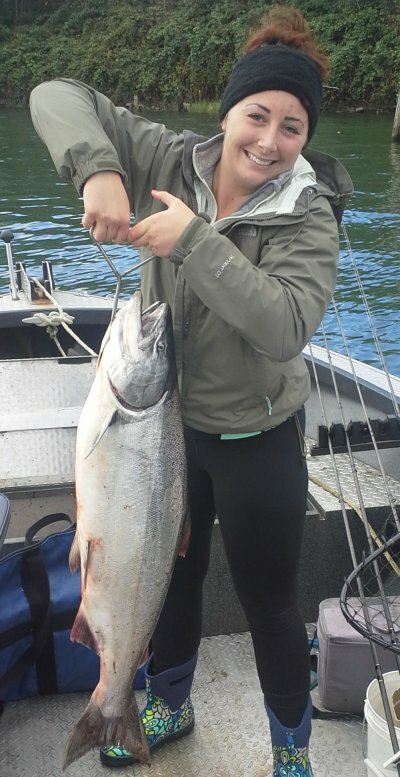 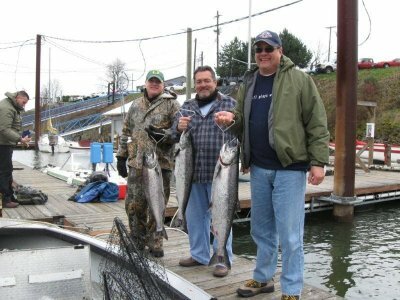 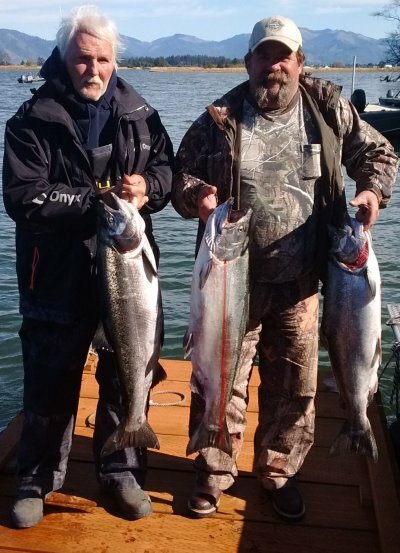 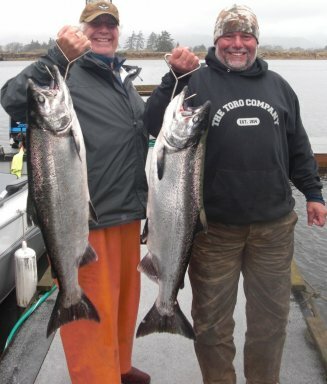 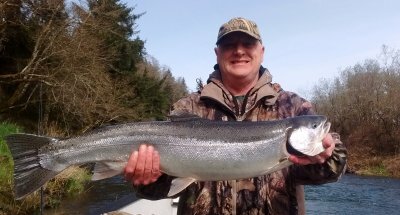 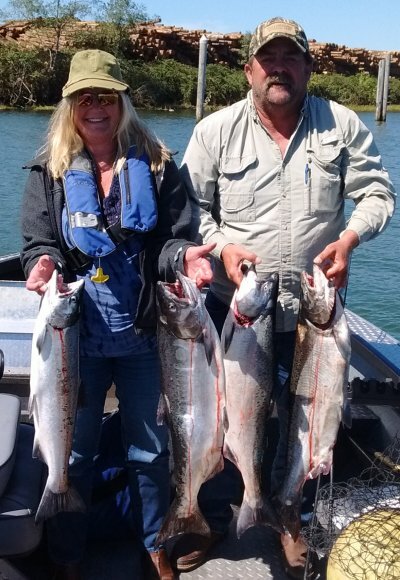 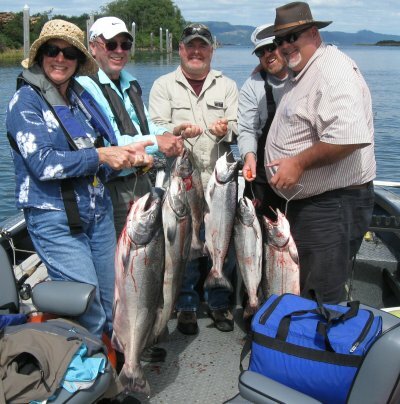 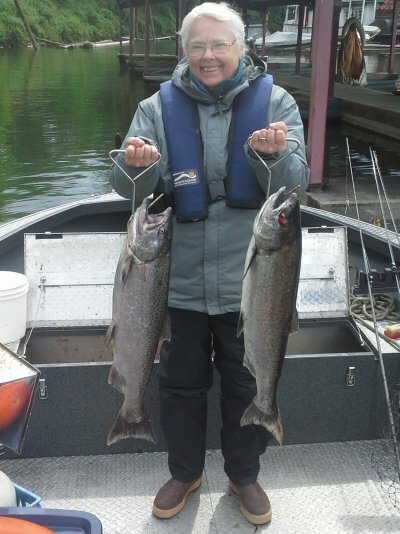 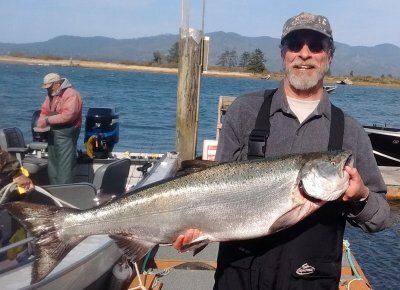 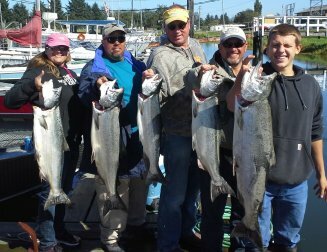 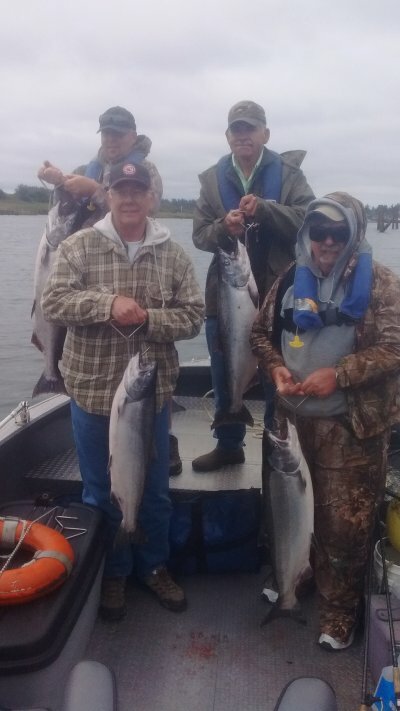 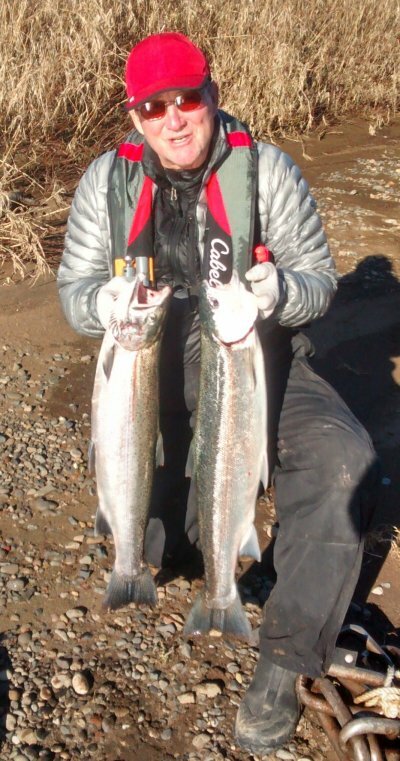 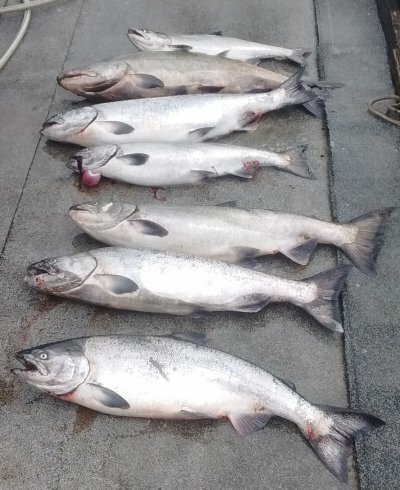 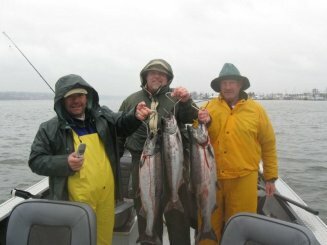 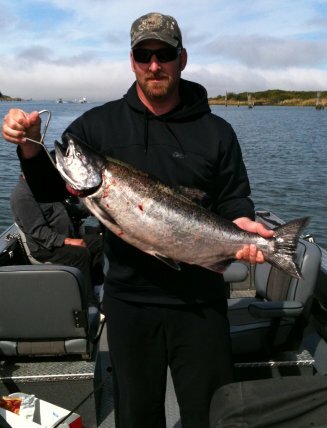 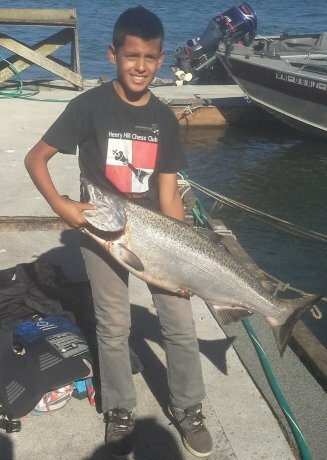 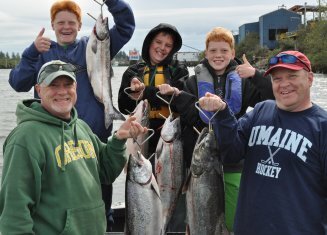 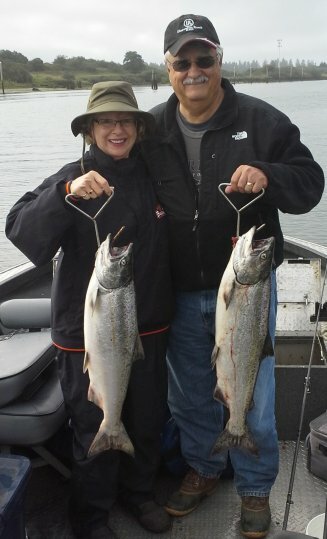 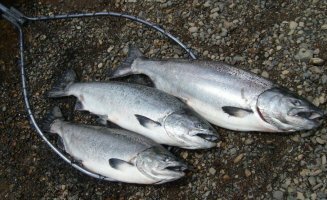 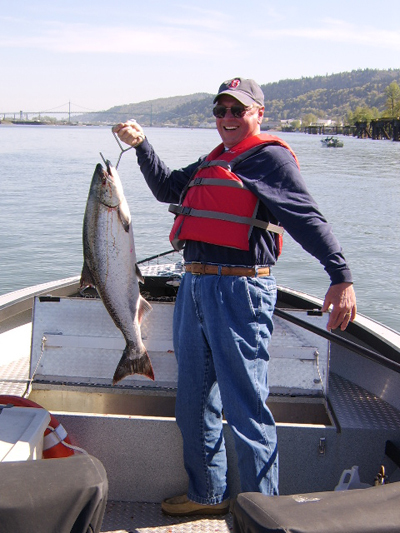 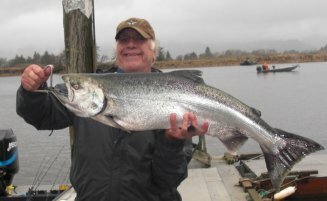 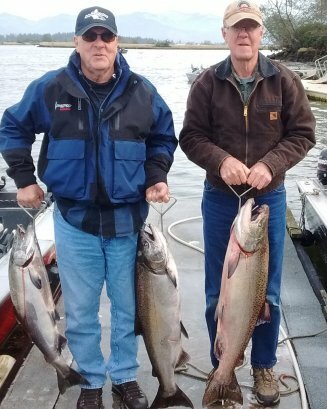 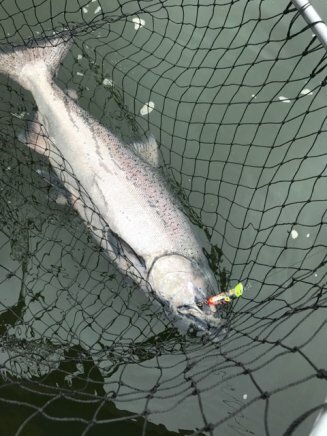 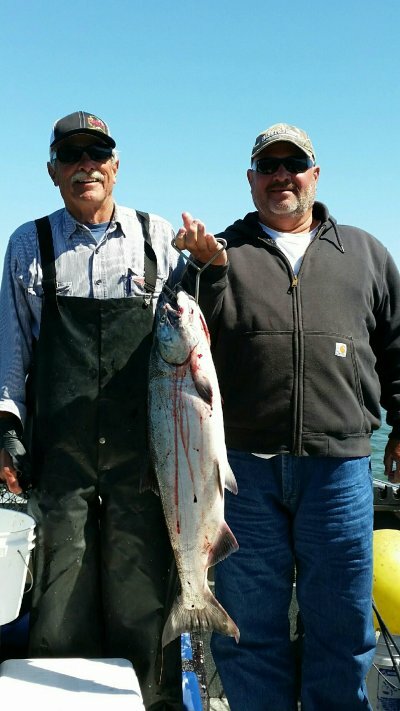 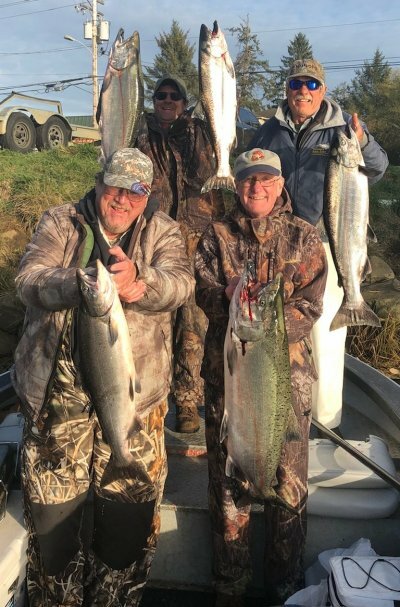 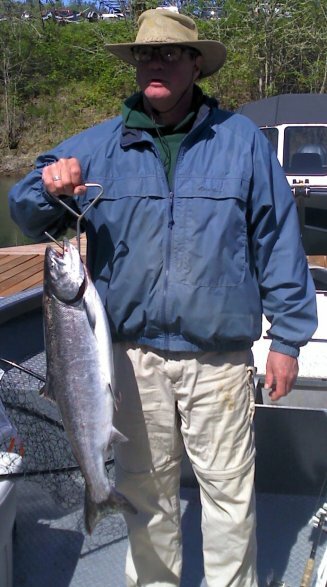 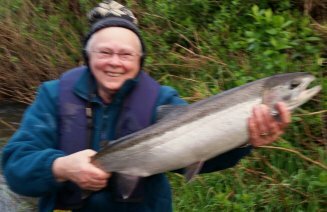 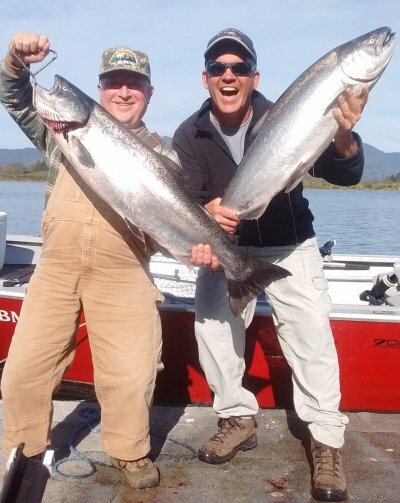 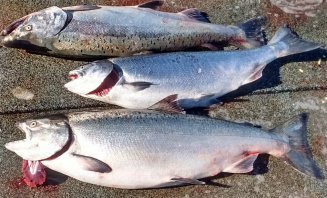 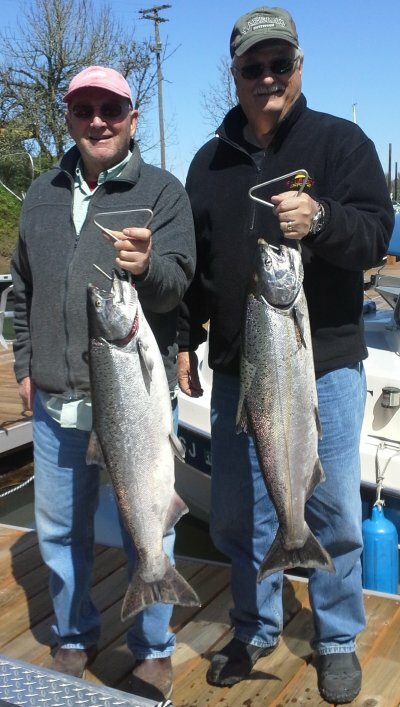 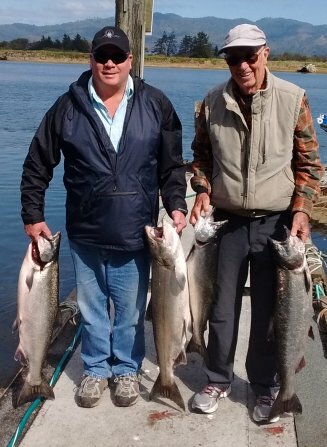 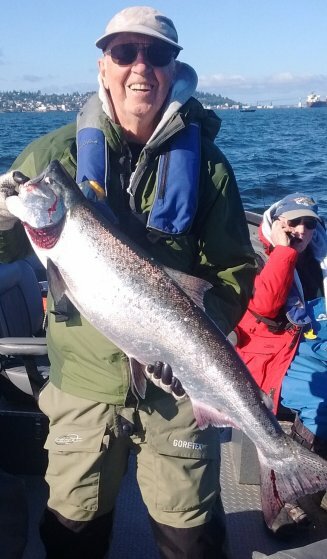 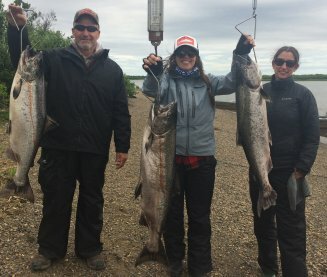 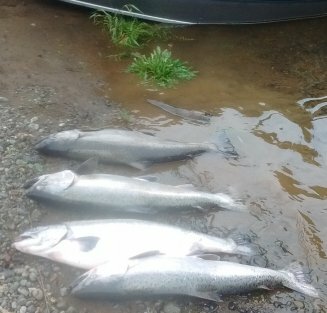 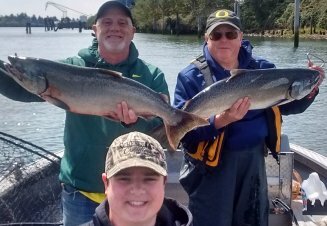 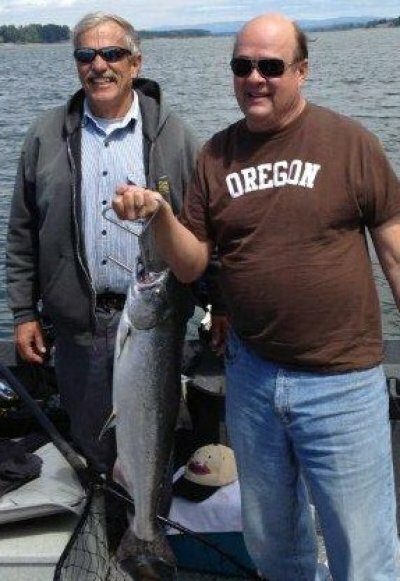 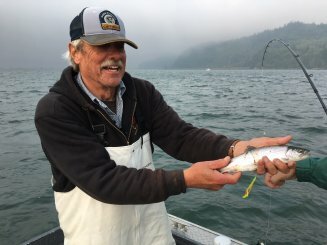 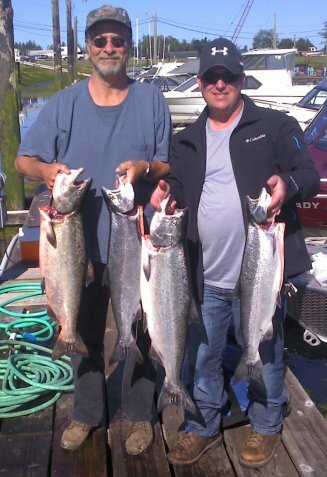 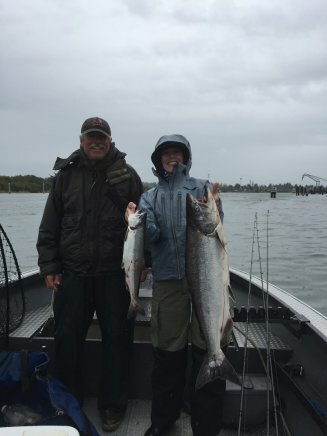 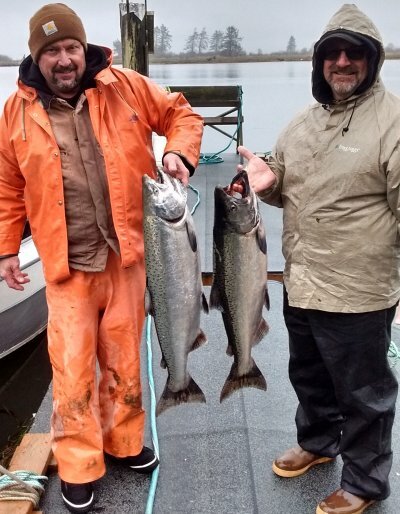 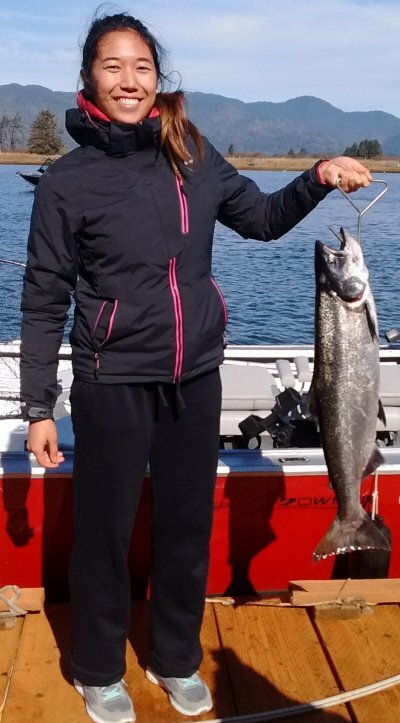 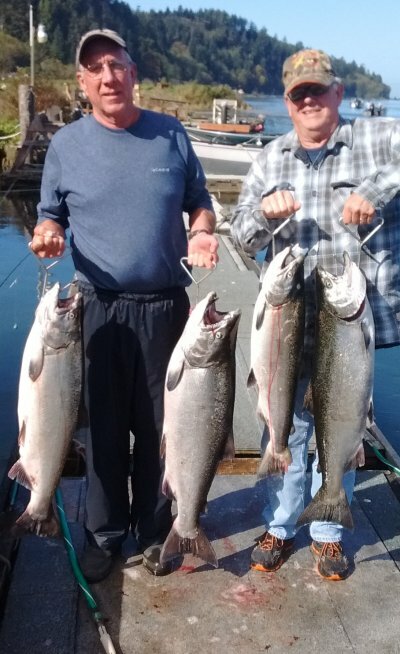 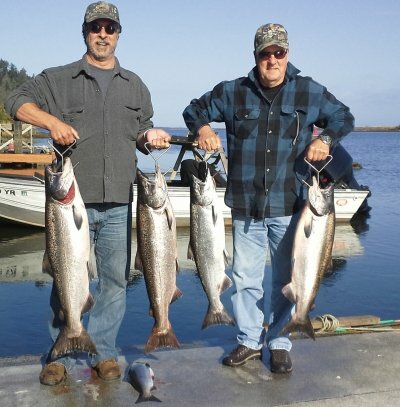 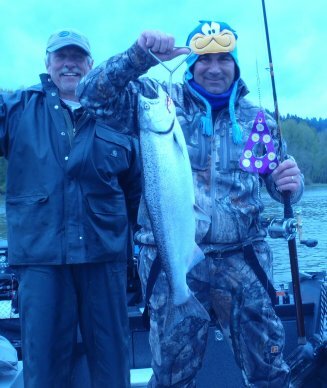 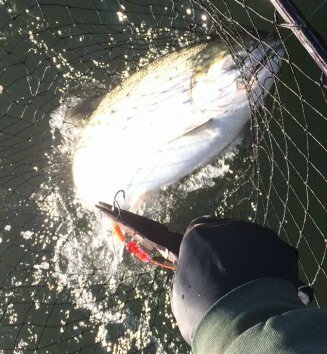 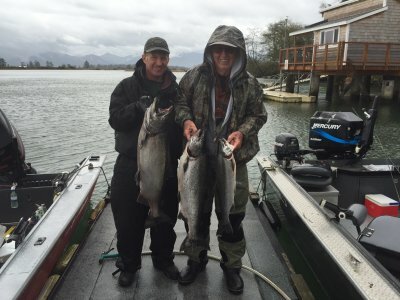 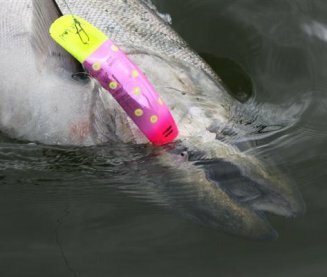 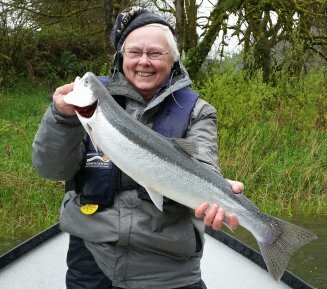 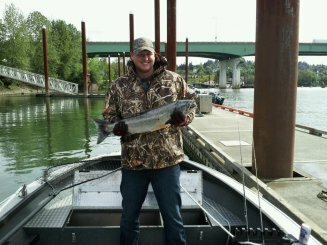 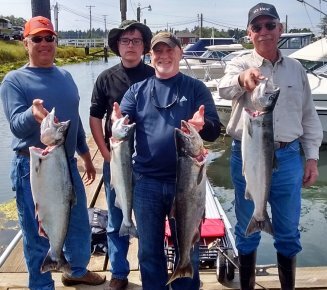 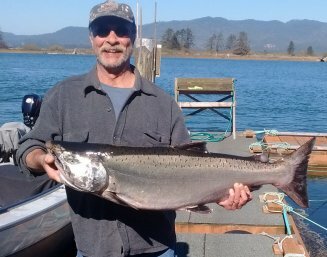 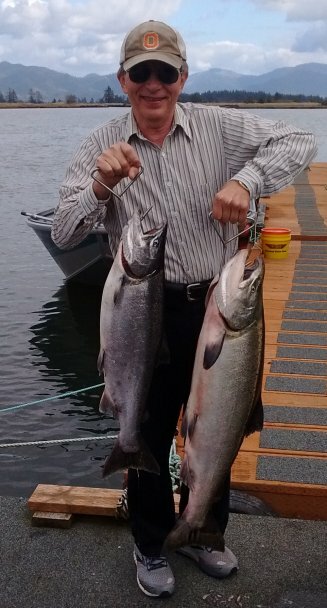 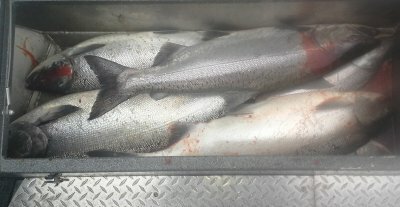 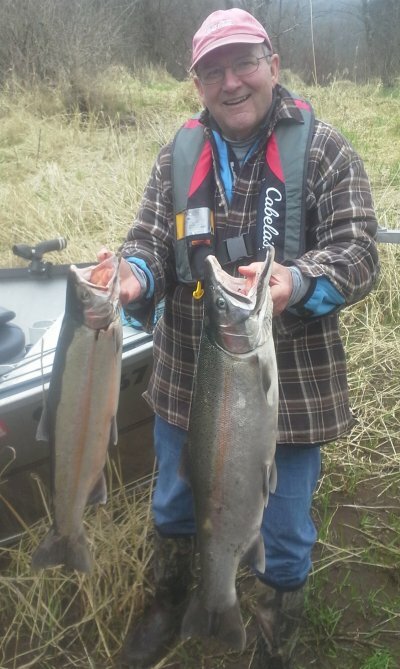 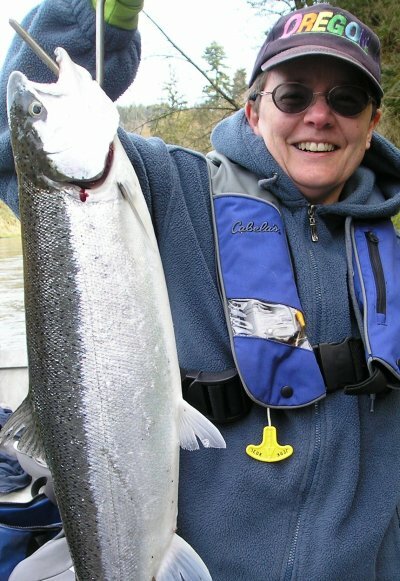 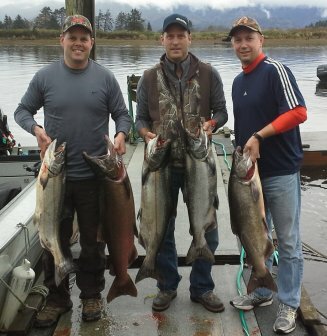 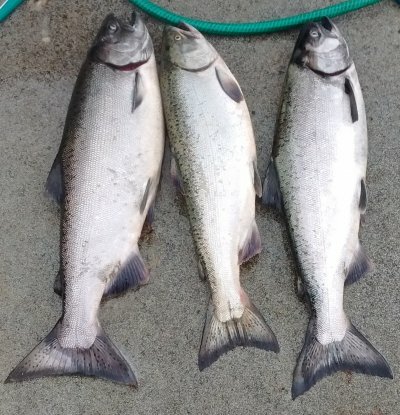 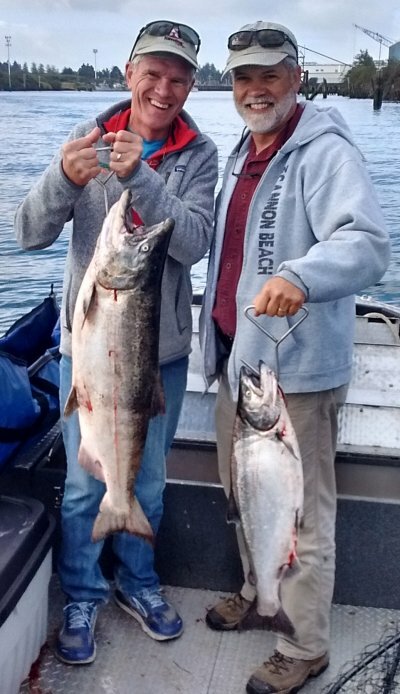 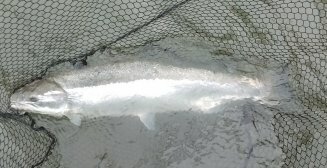 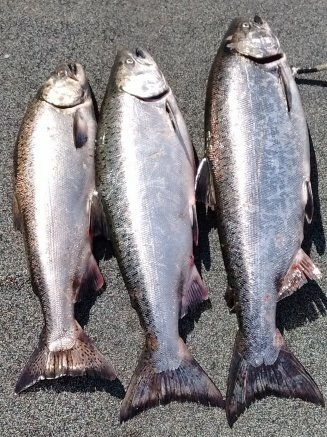 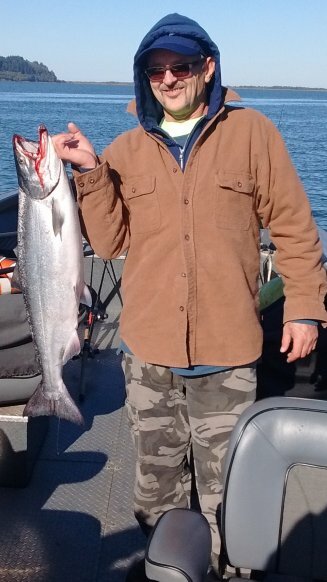 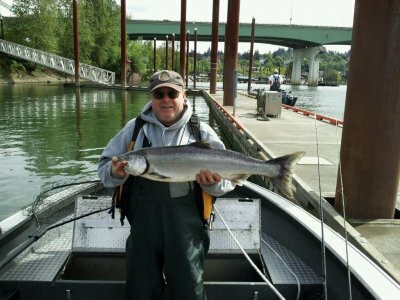 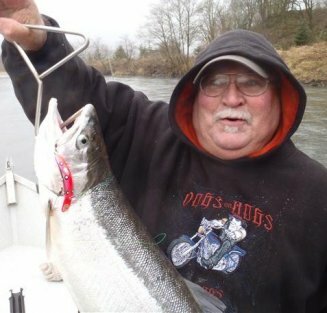 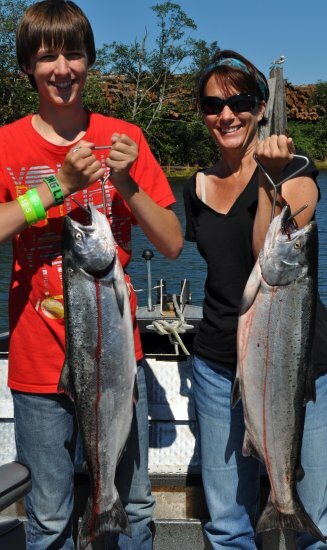 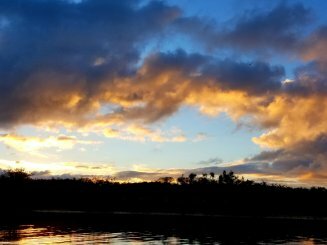 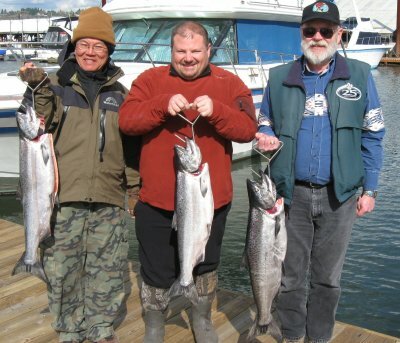 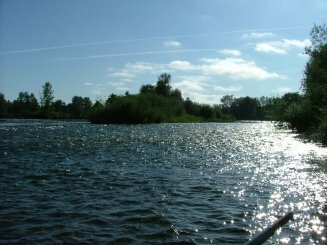 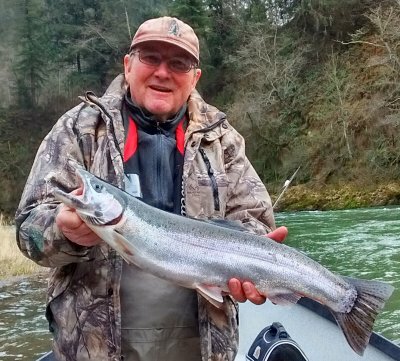 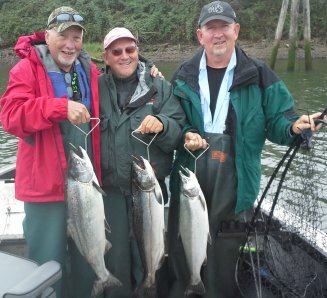 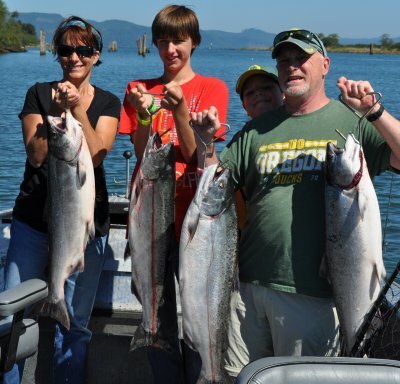 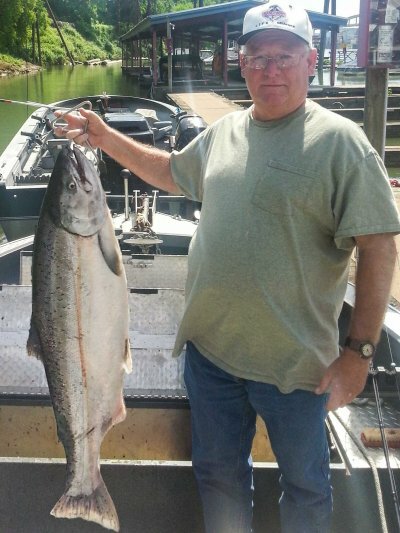 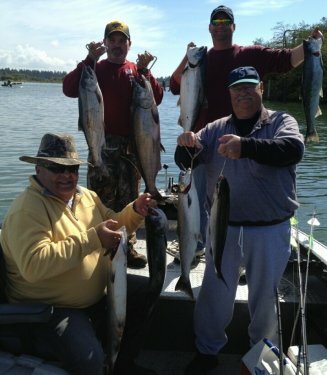 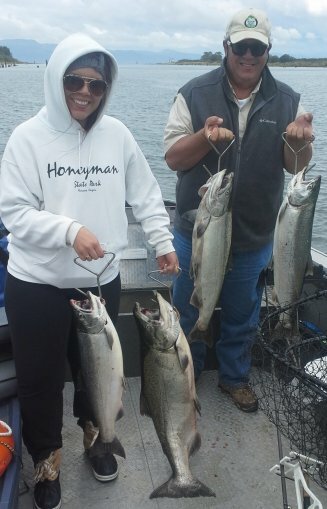 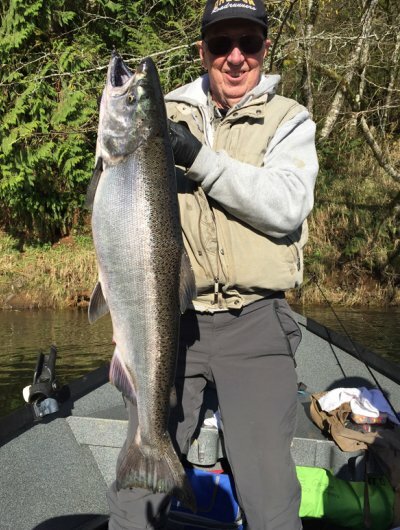 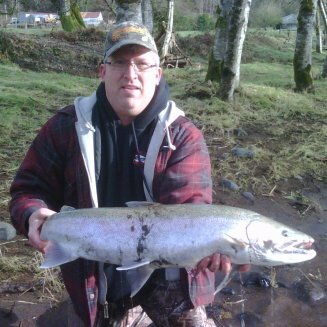 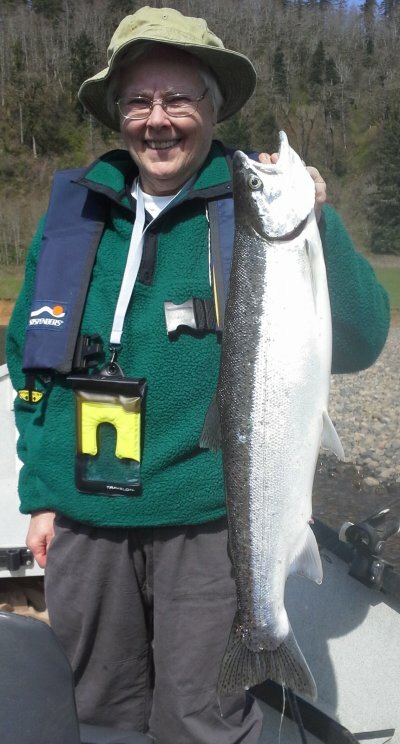 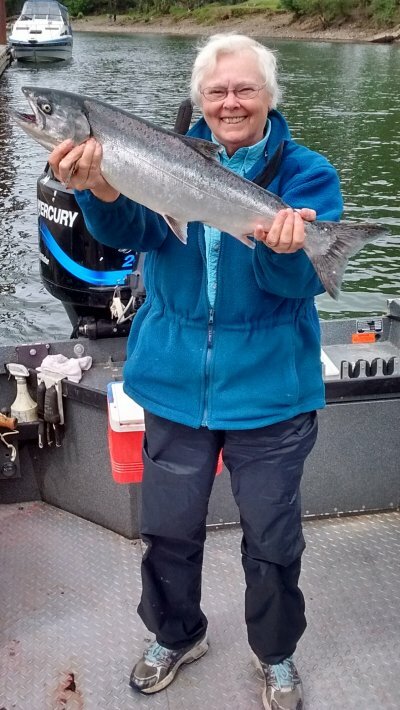 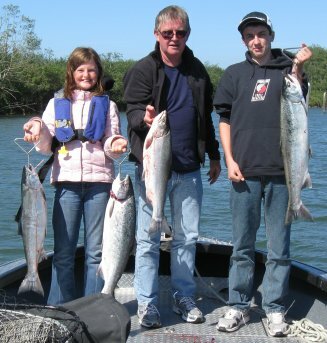 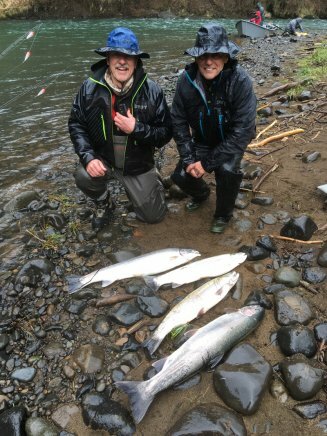 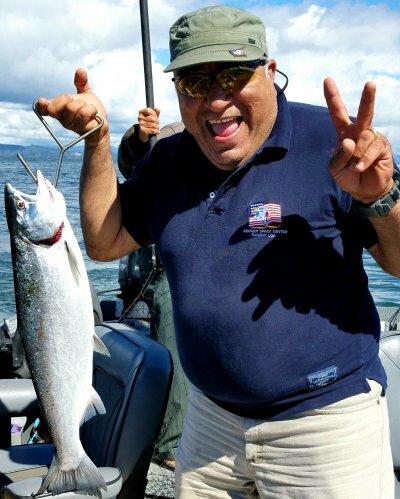 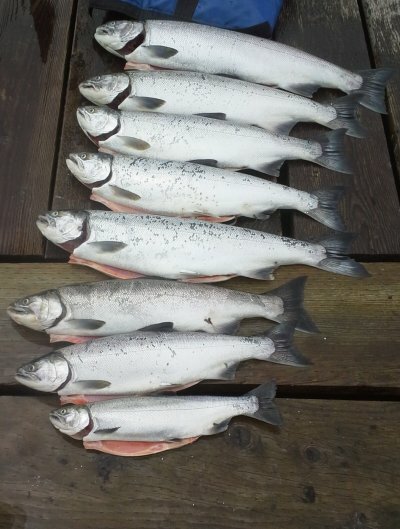 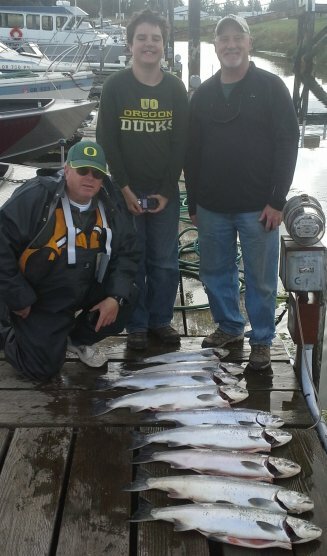 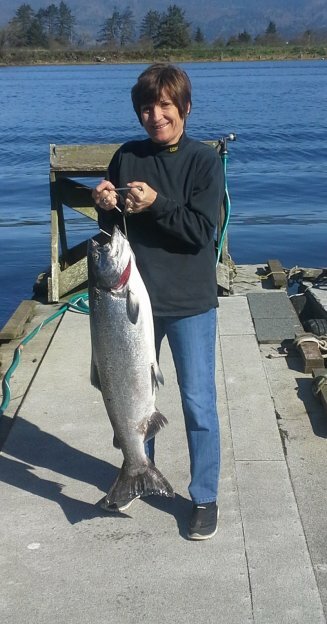 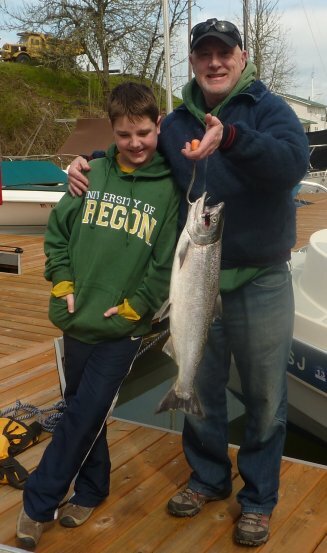 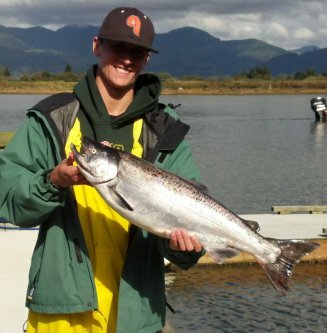 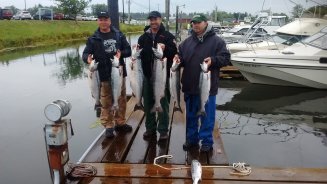 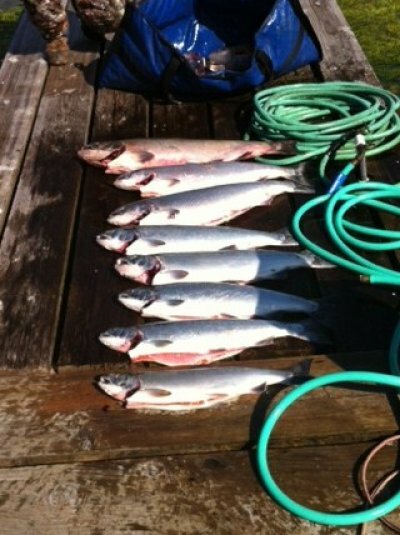 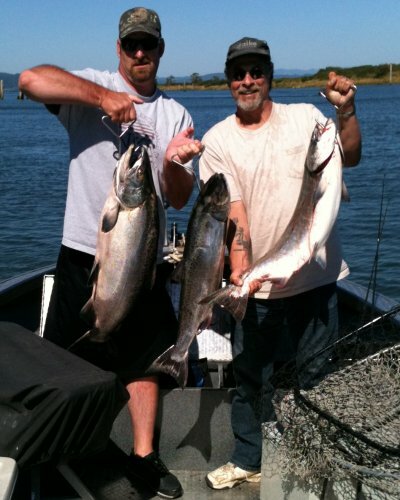 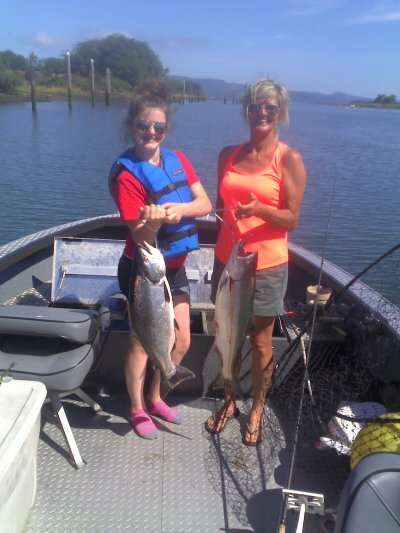 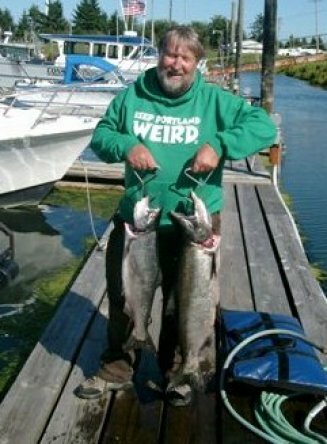 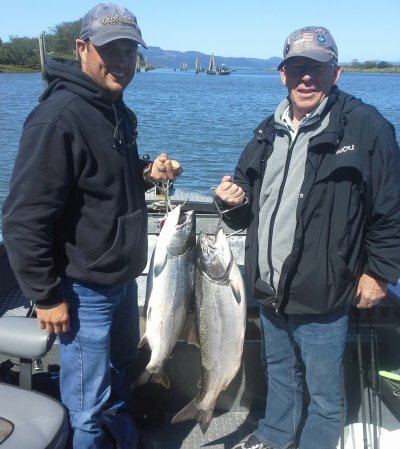 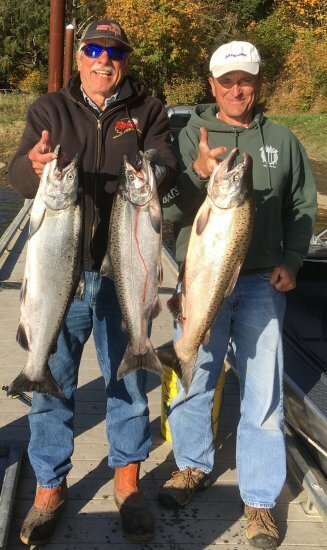 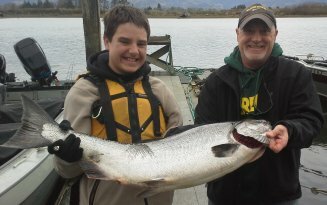 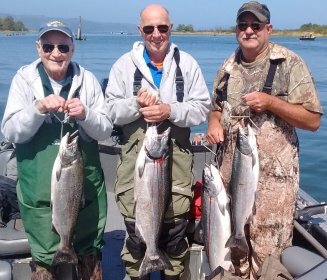 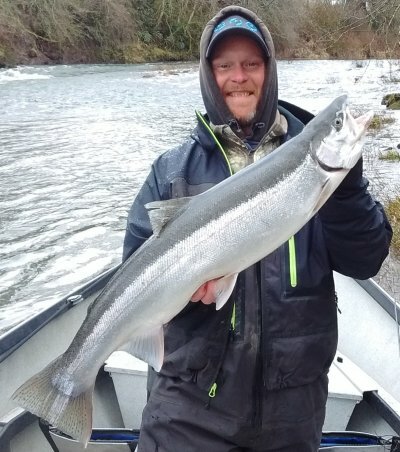 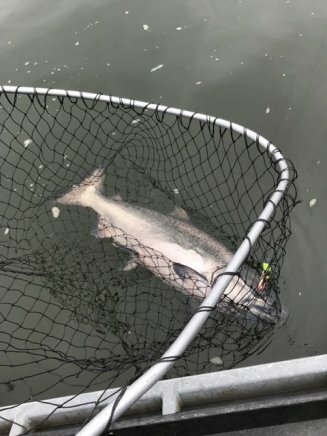 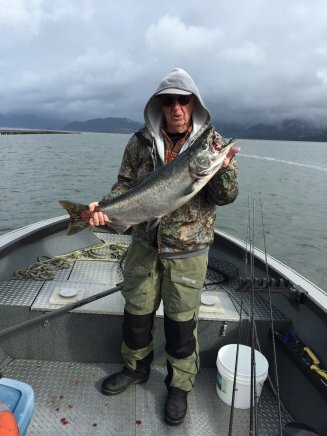 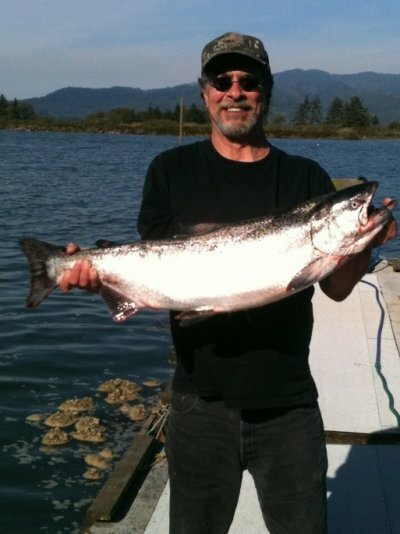 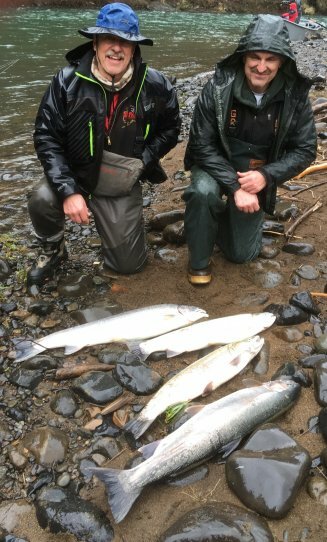 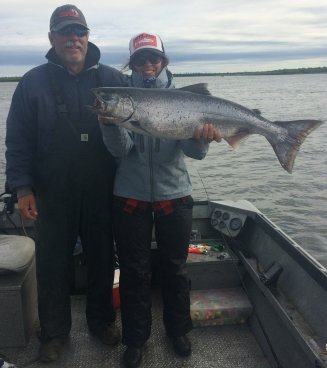 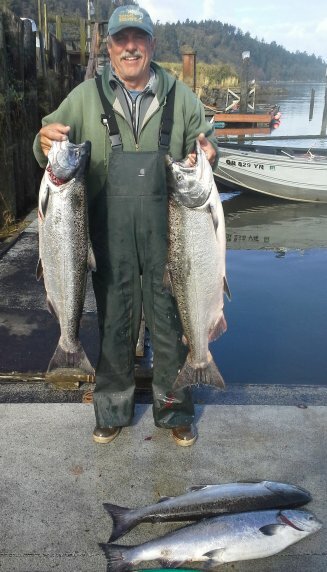 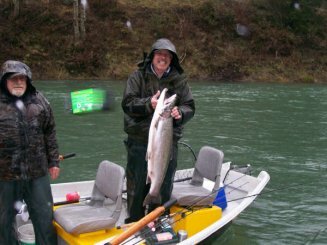 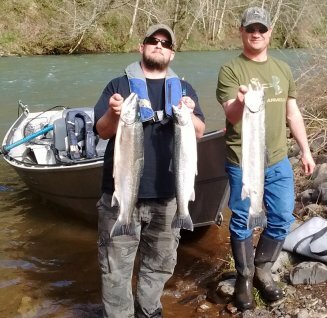 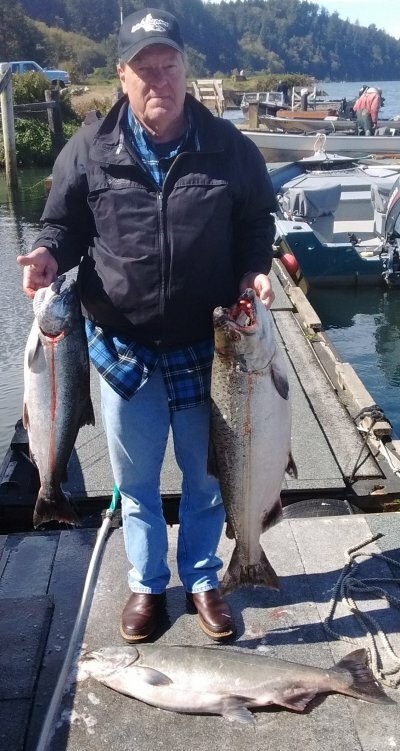 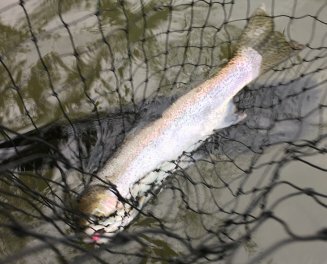 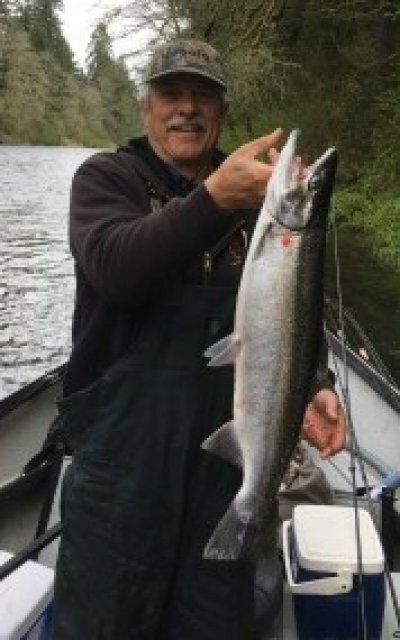 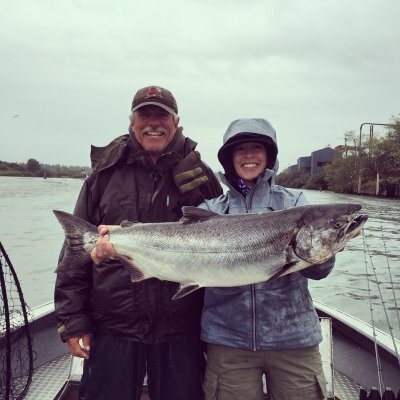 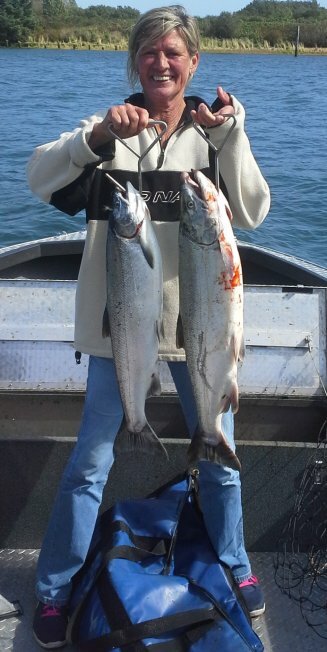 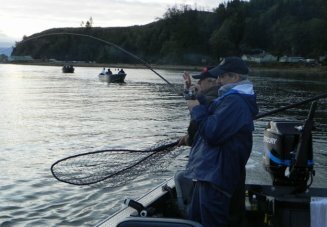 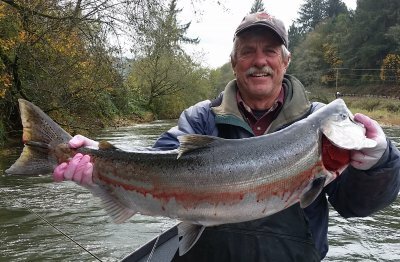 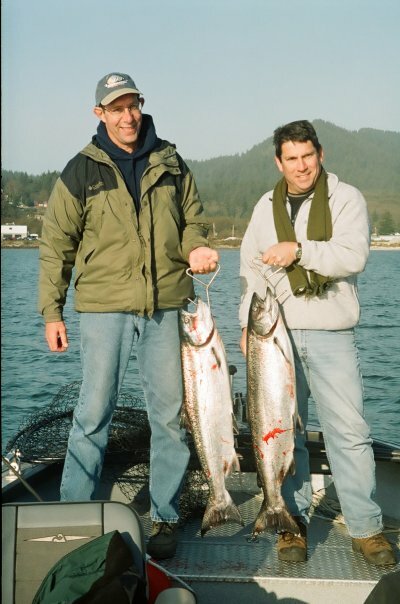 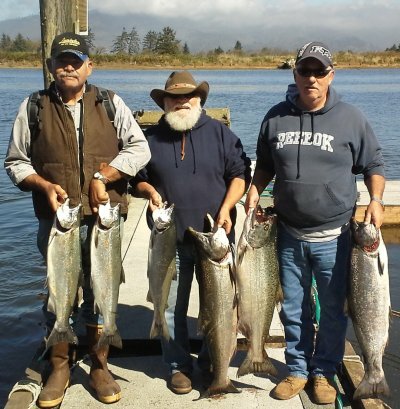 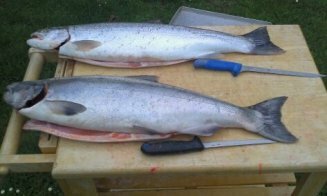 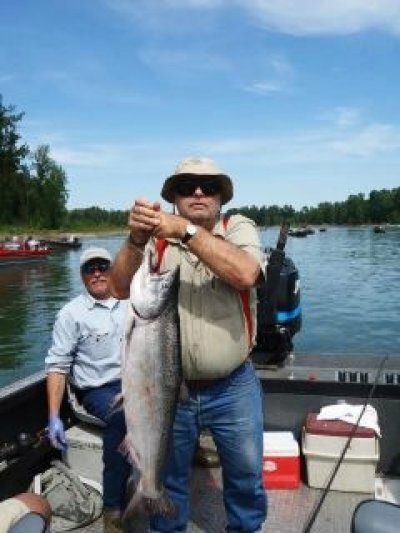 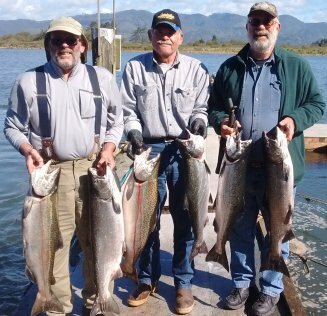 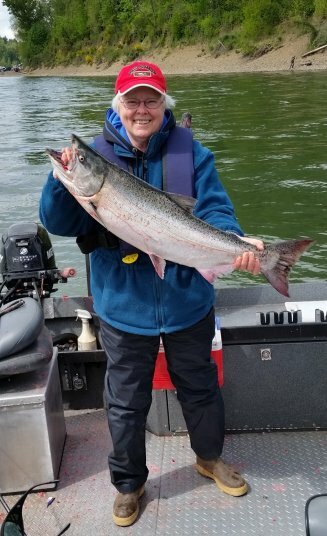 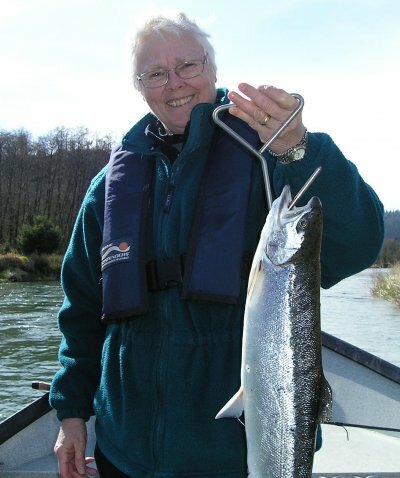 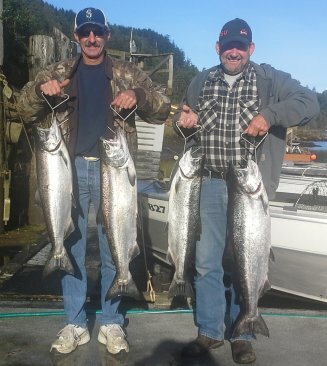 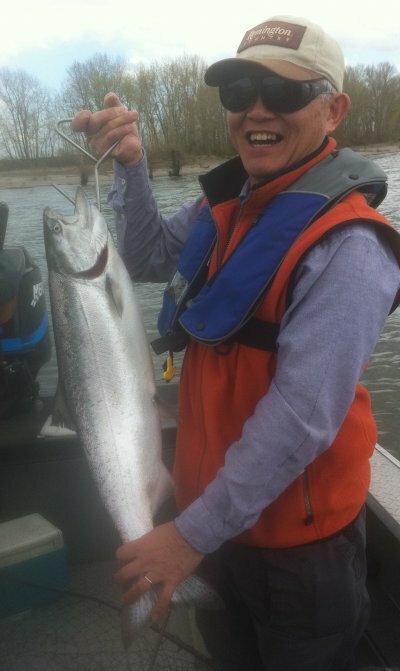 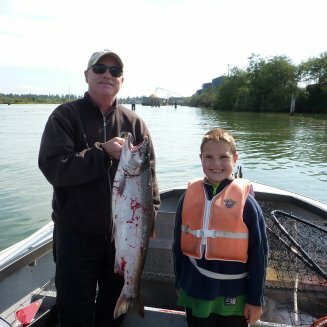 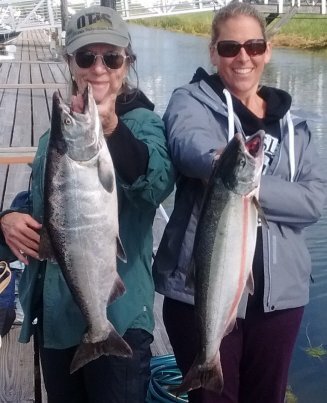 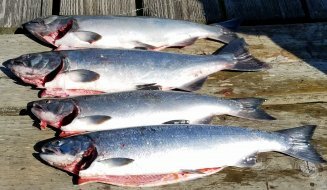 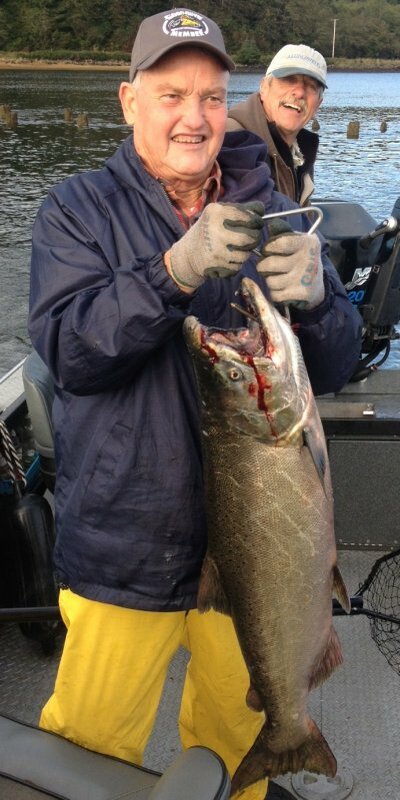 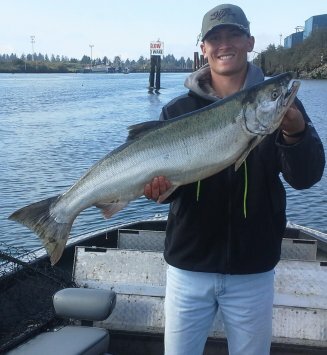 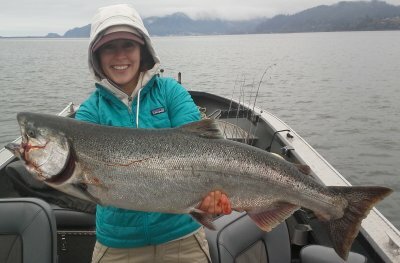 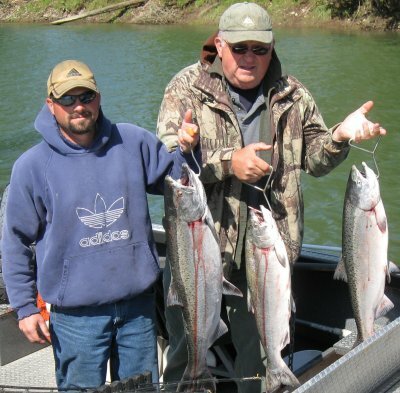 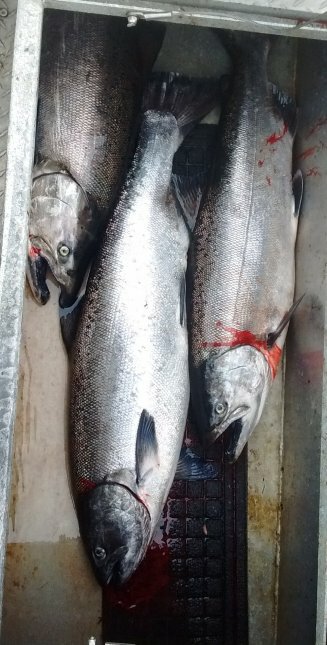 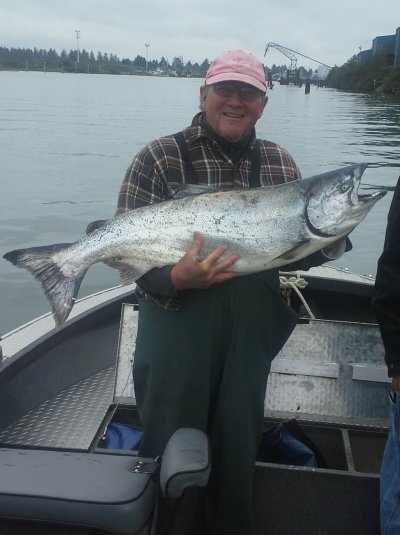 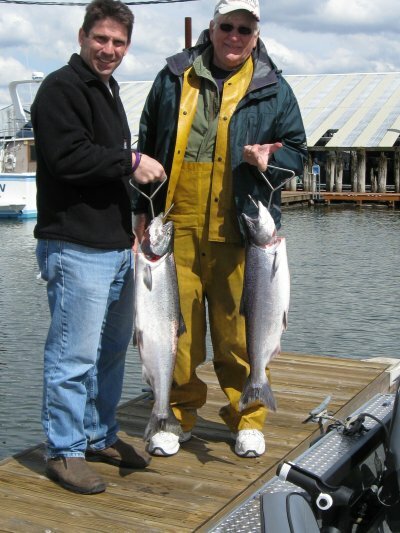 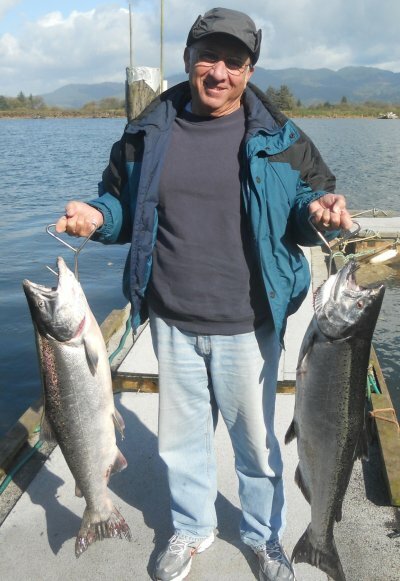 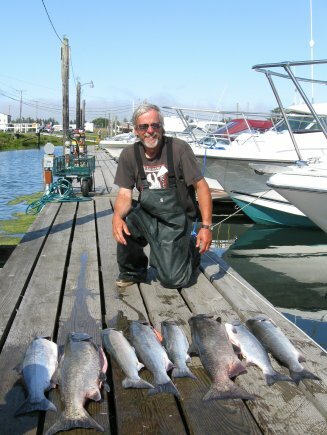 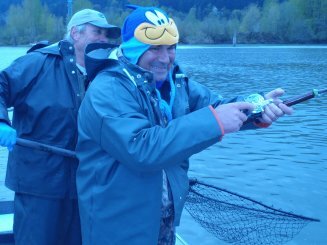 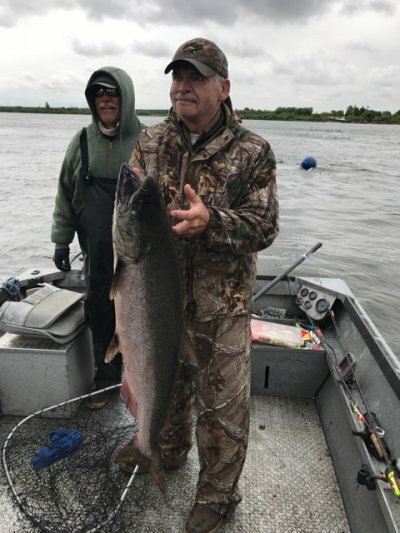 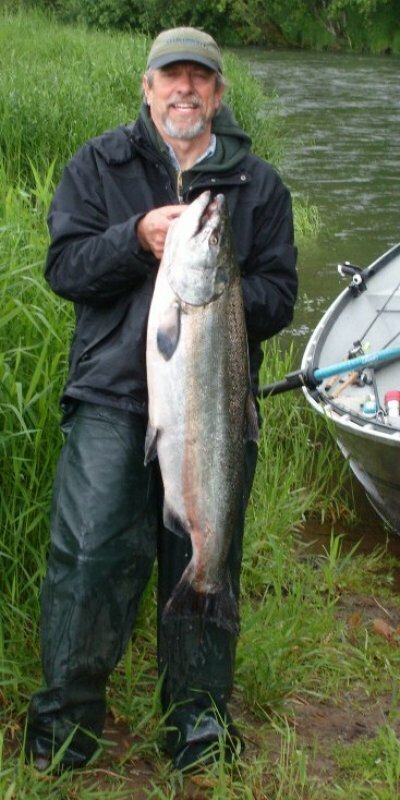 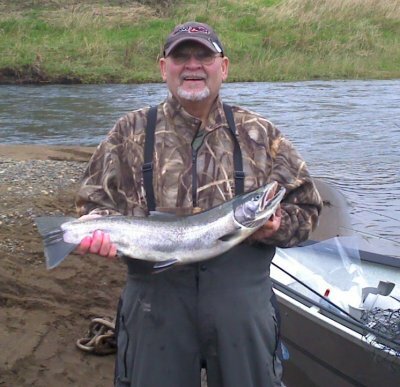 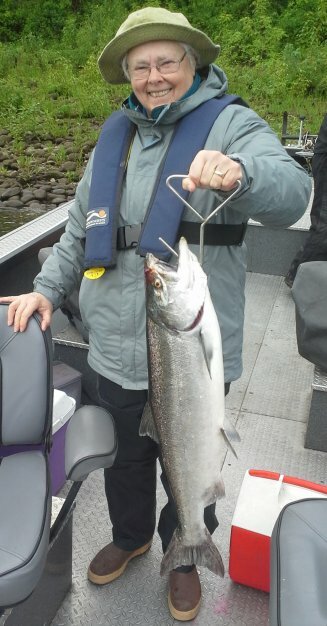 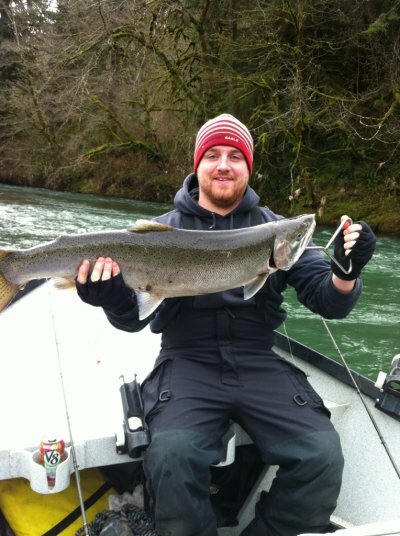 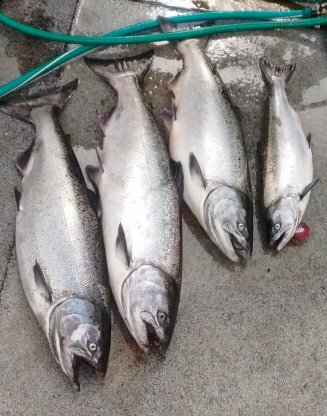 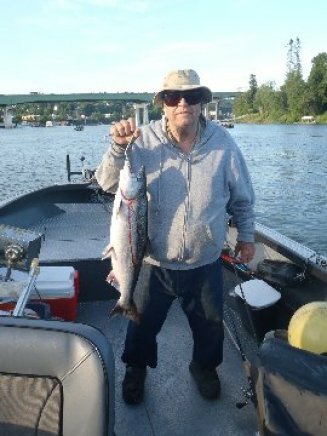 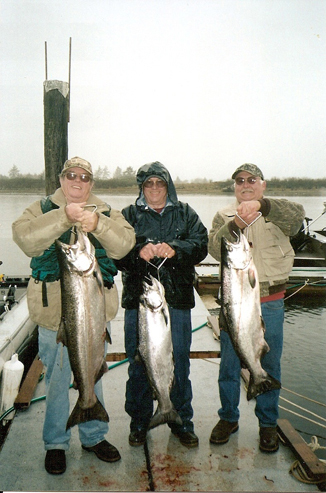 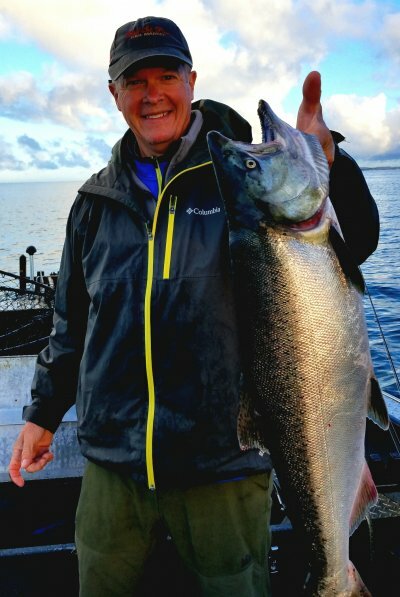 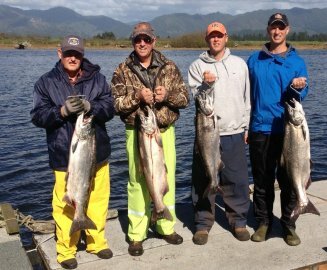 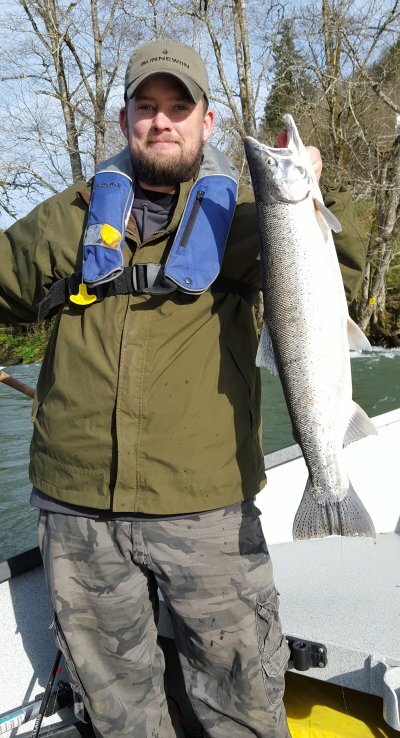 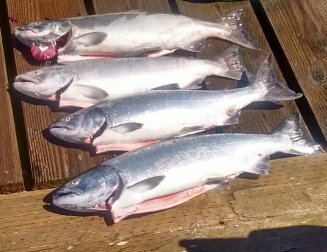 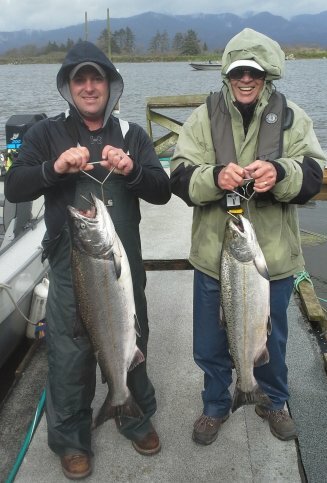 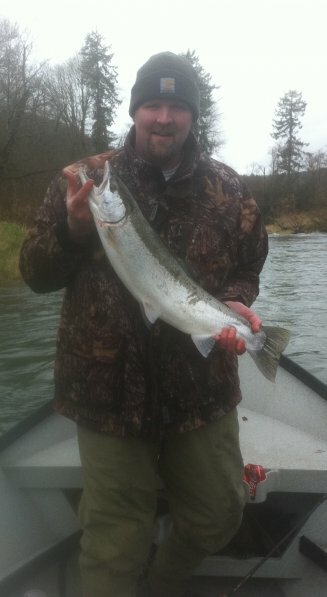 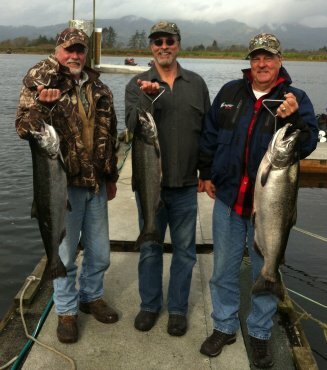 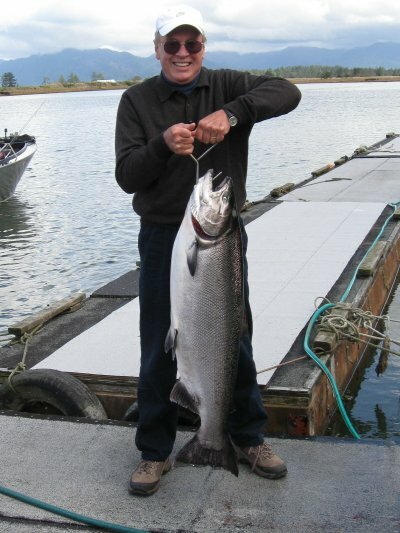 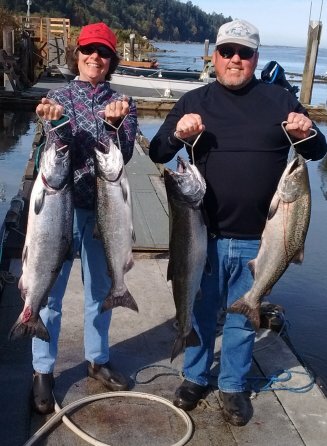 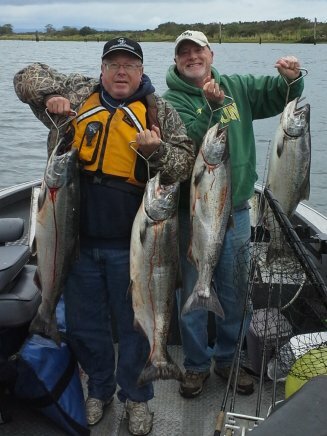 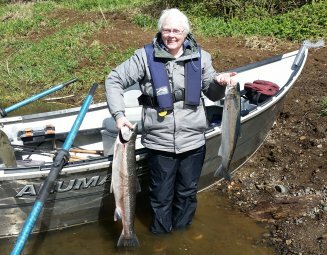 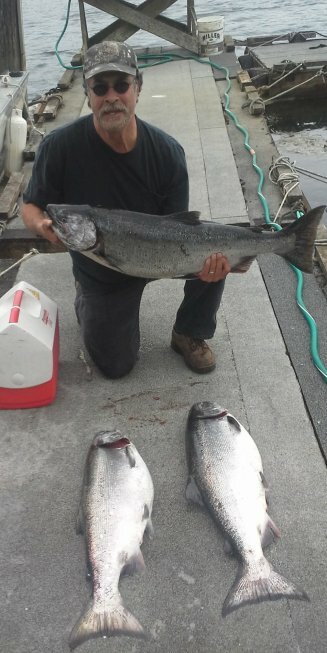 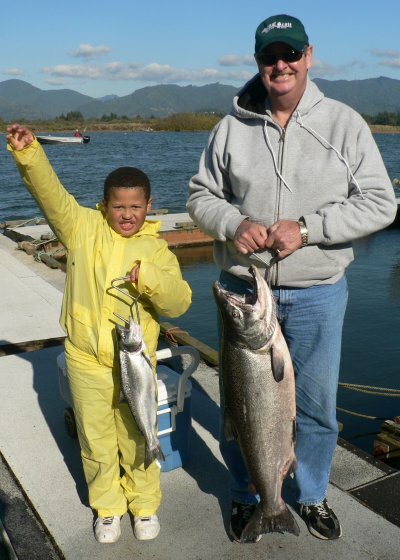 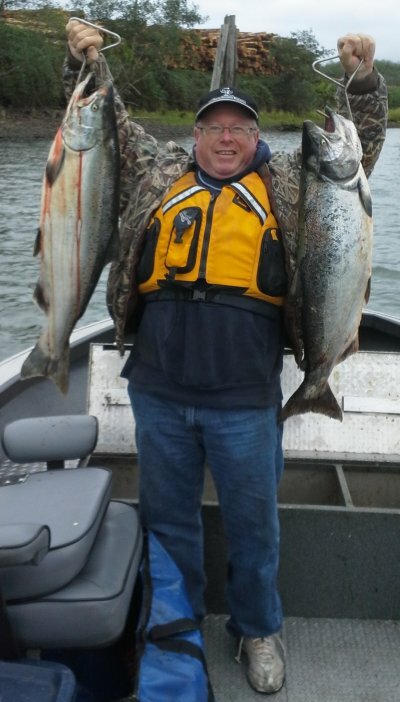 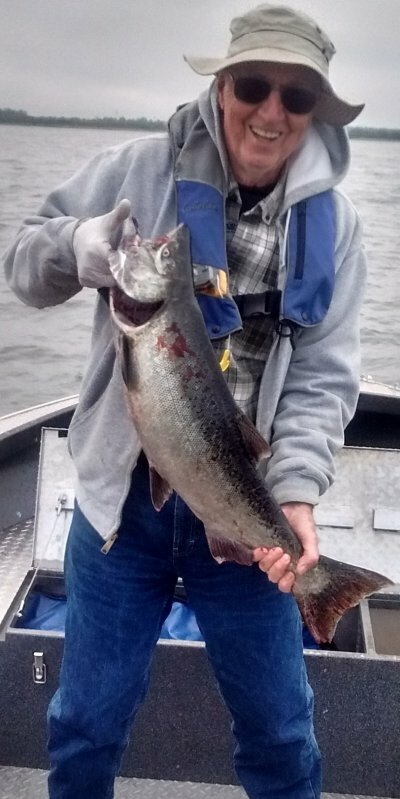 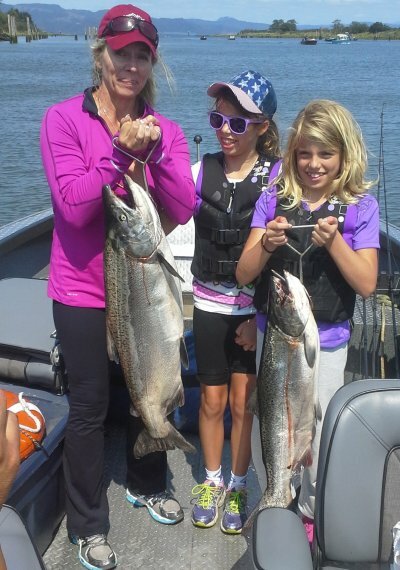 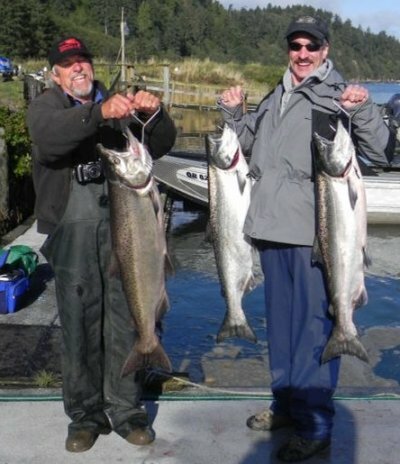 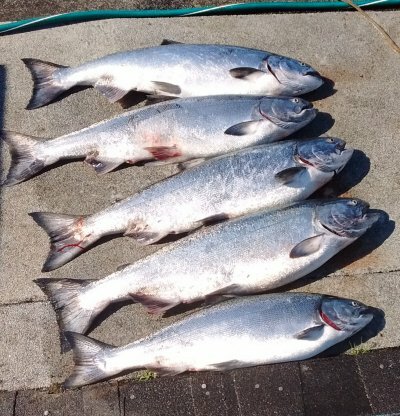 Driftboat trips are in a roomy 17' driftboat on North Coast Streams for Salmon or Steelhead. 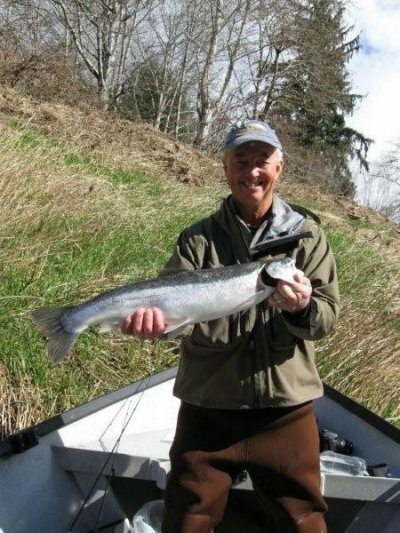 If you would like to book a trip please contact Jim now!